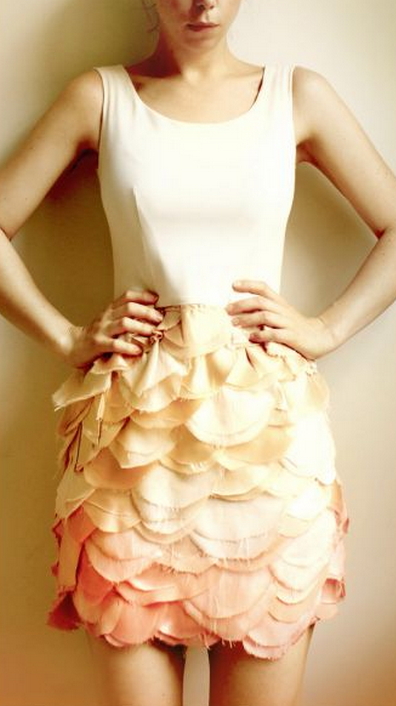 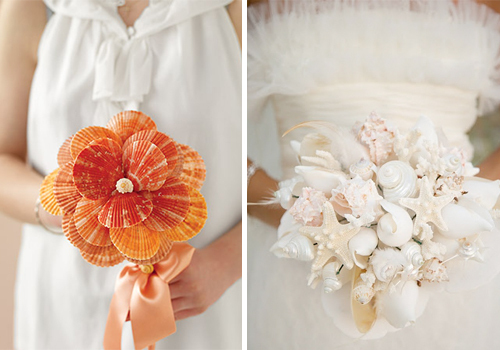 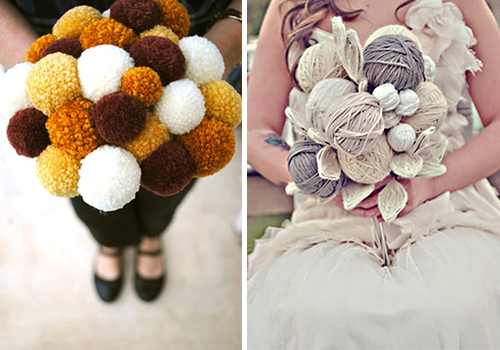 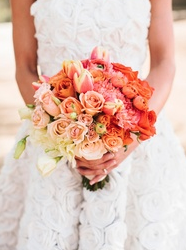 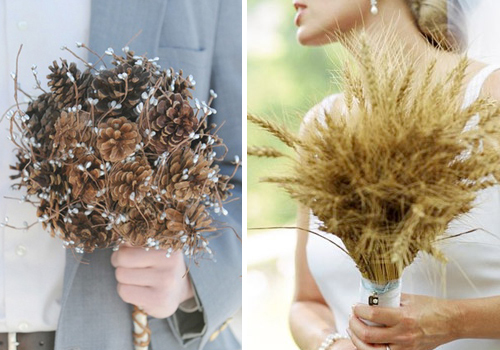 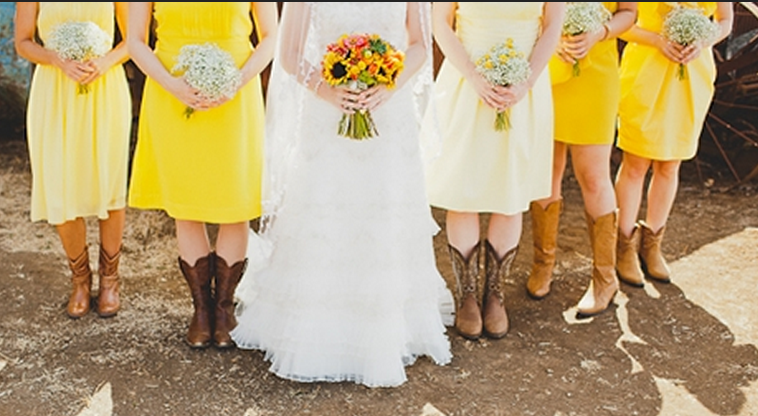 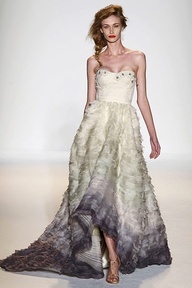 A fashionable bride doesn’t need to carry roses or hydrangeas down the aisle to complete her wedding look. 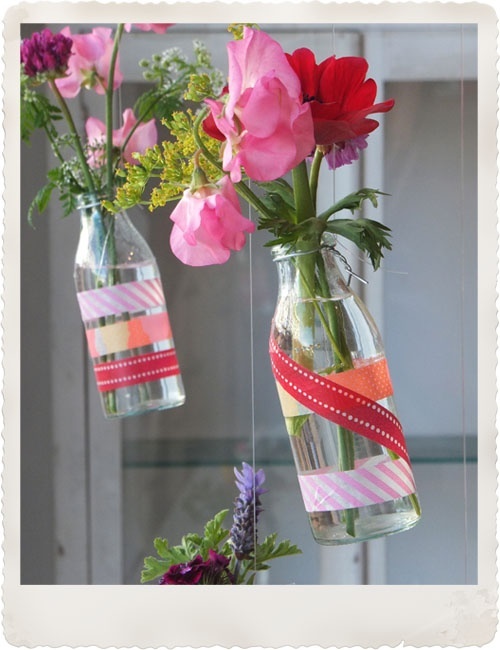 Flowerless bouquets are trending this season not only because of they can work within any budget but also because of their lasting qualities. 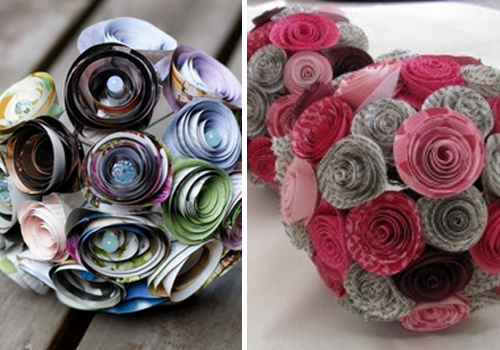 These gorgeous arrangements turn into a special keepsake that can be passed down because they won’t die by the end of the night. 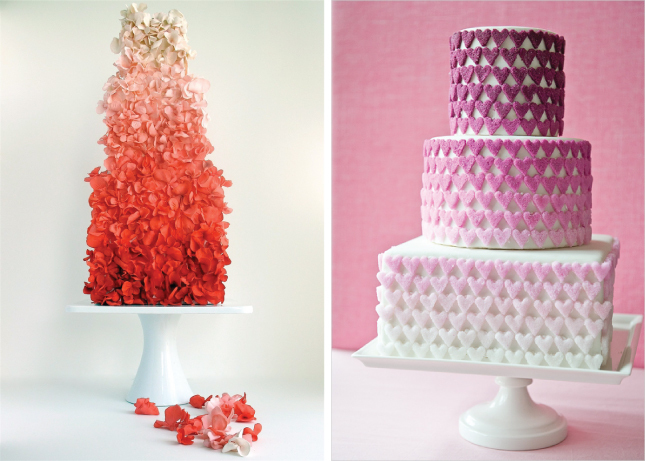 These chic options range from eco-friendly recycled paper to edible creations and work well with any motif from modern to classic. 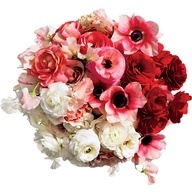 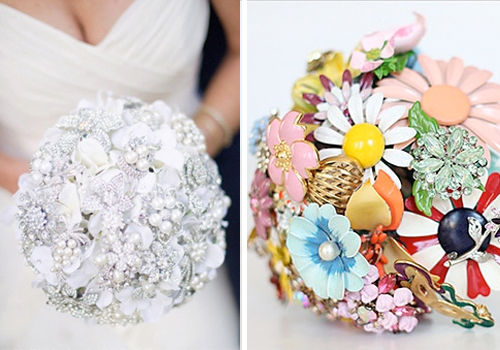 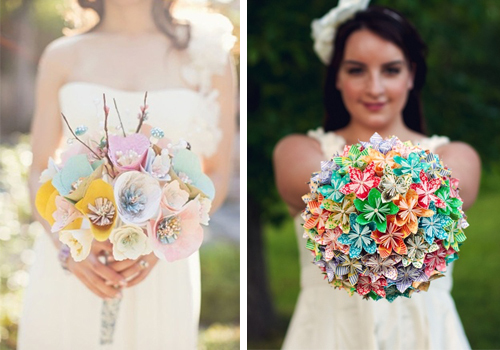 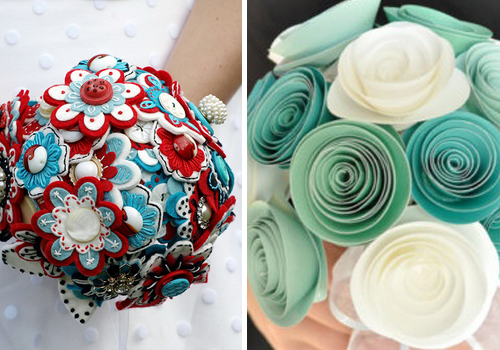 For all of those who aren’t the biggest floral flans or just want to make a fashion-forward statement, unique bouquets can be crafted out of almost any material. 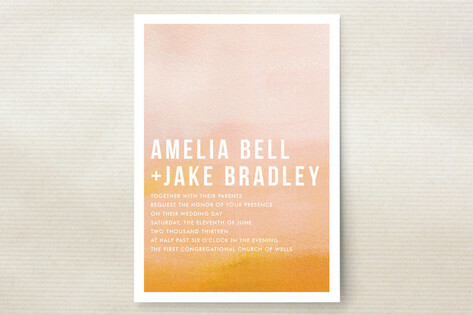 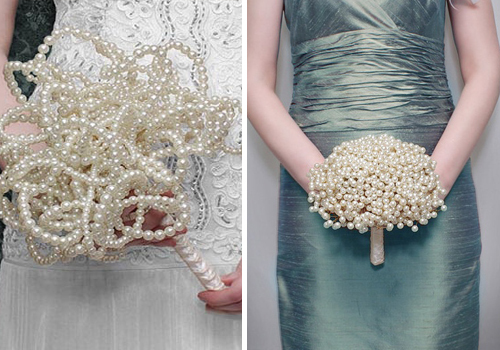 They save money, make a bold statement, and actually last– what more could any bride want? 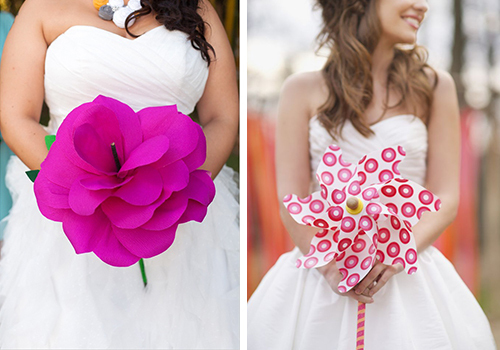 Check out this fabulous selection of non-floral bouquets and discover all of the stunning possibilities! 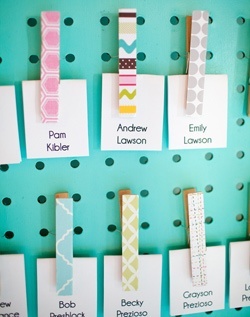 Washi tape is a fun, decorative Japanese masking tape that’s dominating the crafting world because of its ease and variety of sizes/patterns. 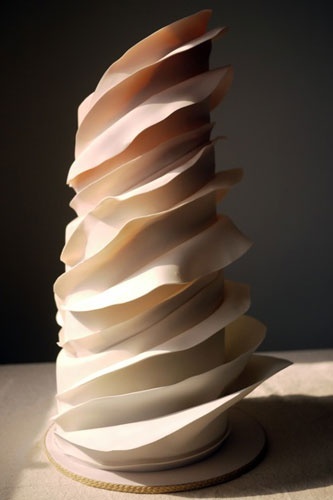 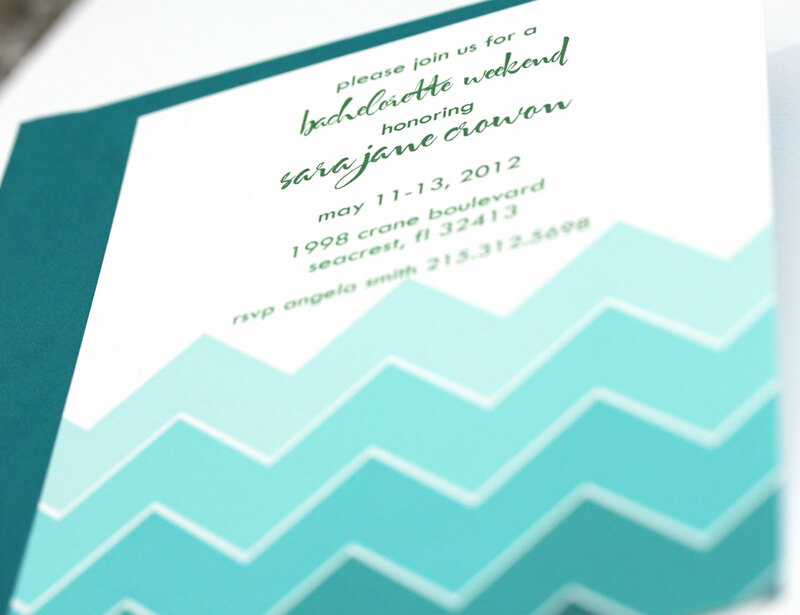 This vibrant accent is normally made out of rice paper which gives it a transparent feel. 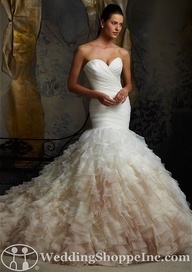 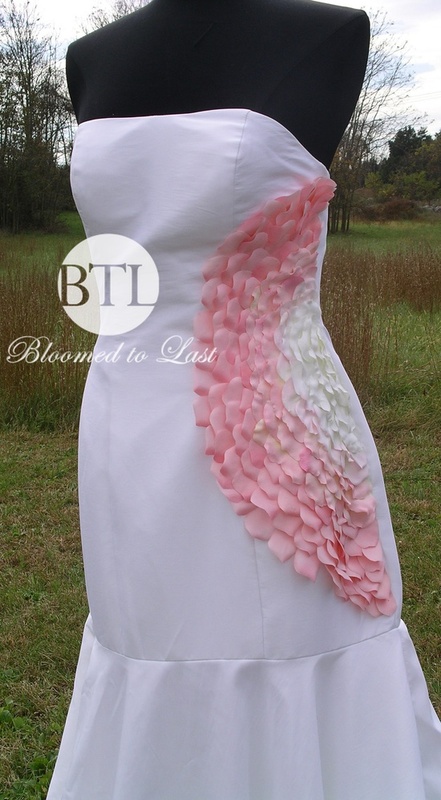 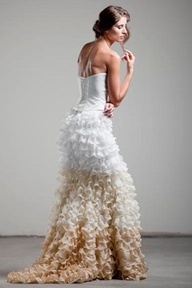 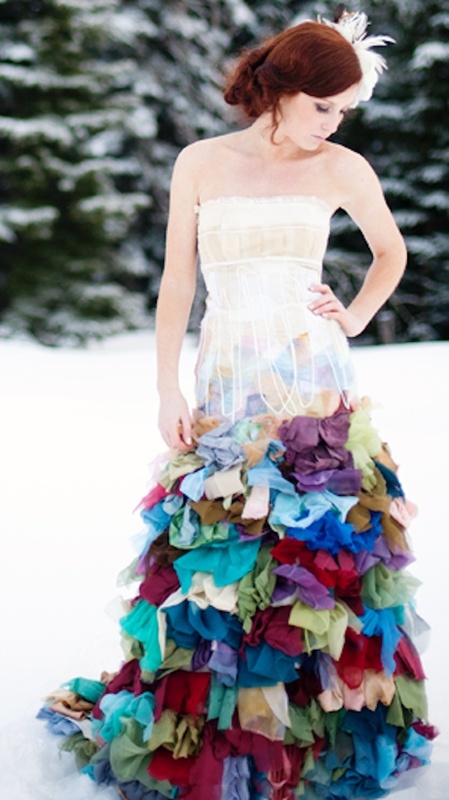 It’s also removable which allows any DIY bride the opportunity to reposition and explore different layering possibilites. 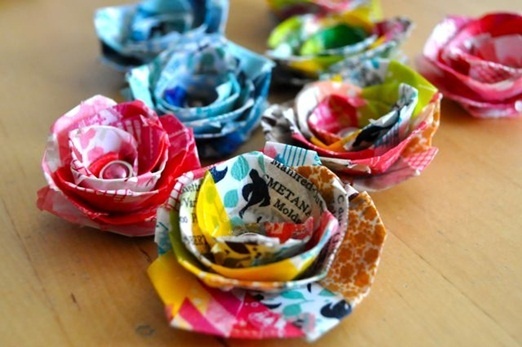 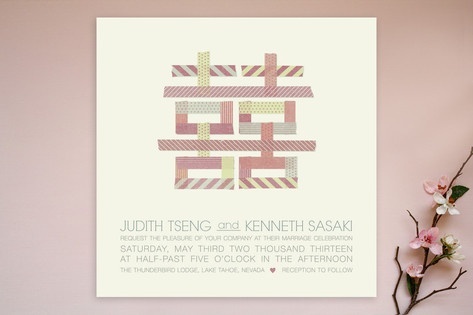 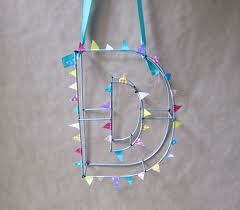 You can also explore your creativity with the freedom to play with any number delicate designs. 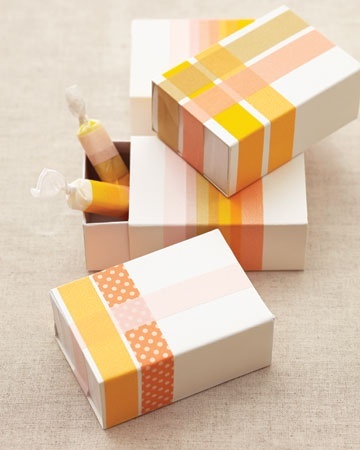 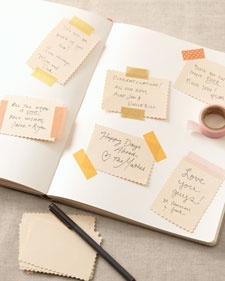 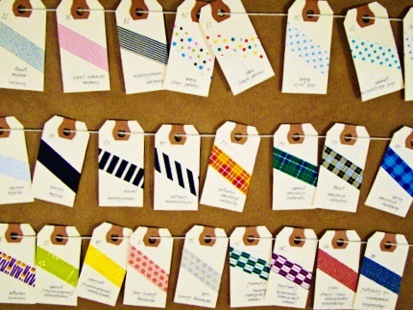 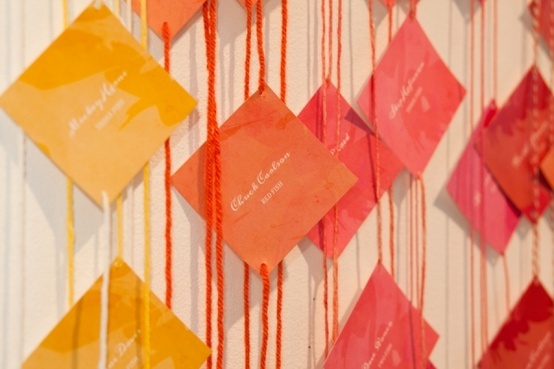 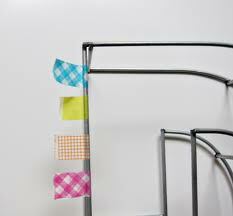 Because of wide range of styles, washi can be incorporated within a number of diverse themes. 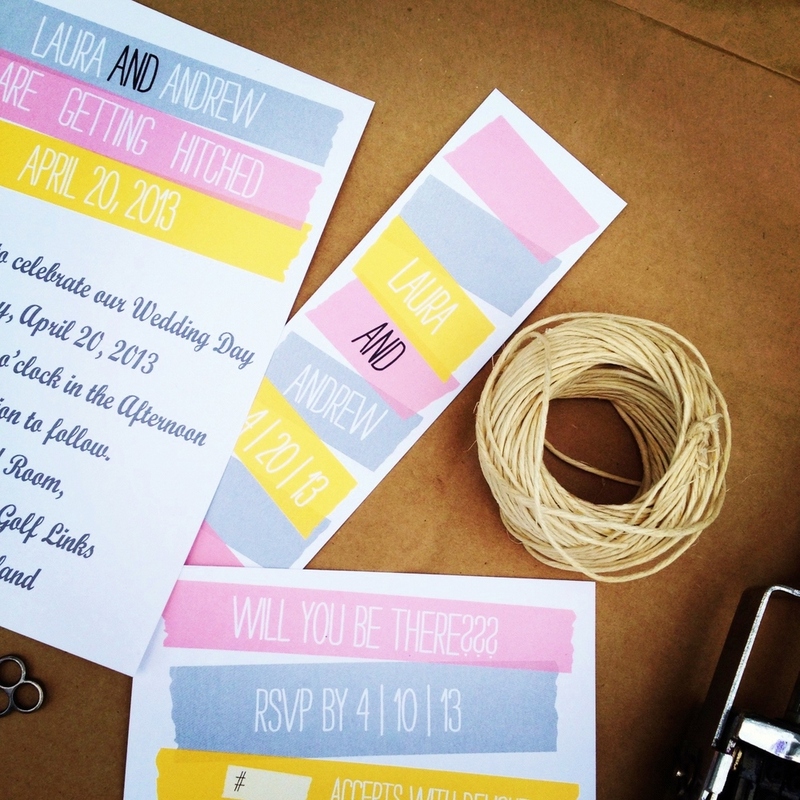 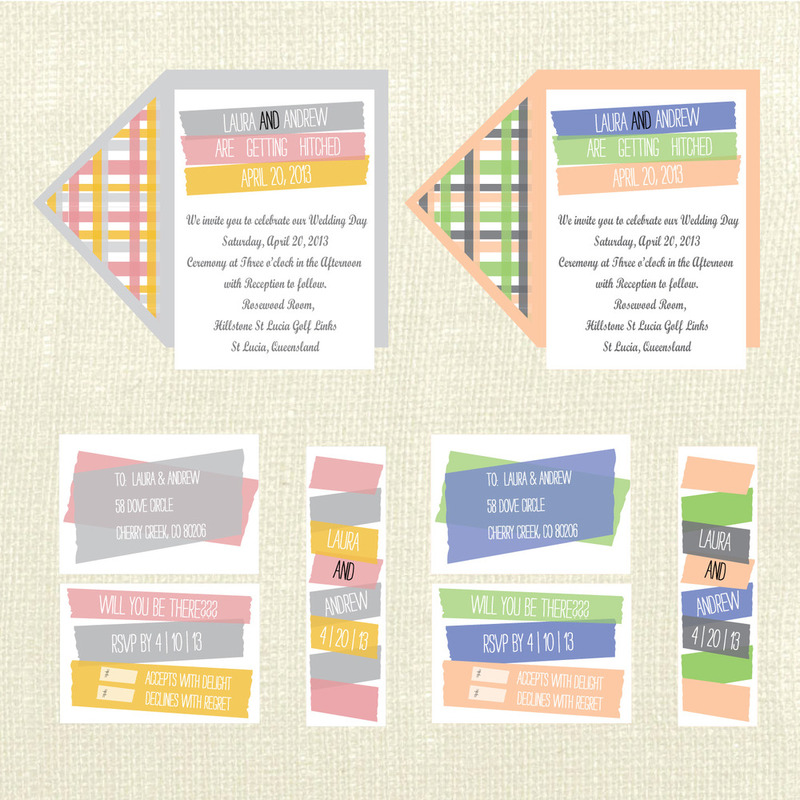 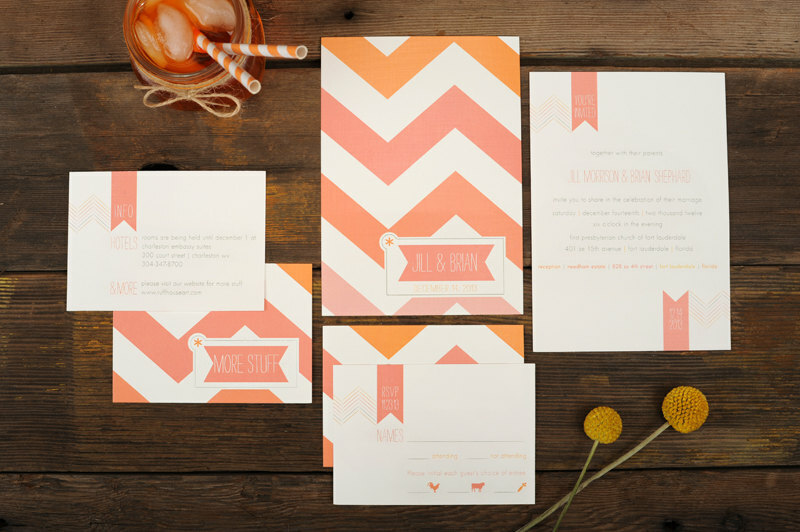 It’s up to each individual bride to decide how intricate her wedding details are– it all depends on how you take advantage of the washi tape options within your personal wedding style! 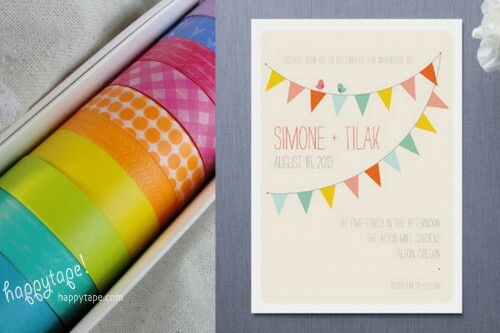 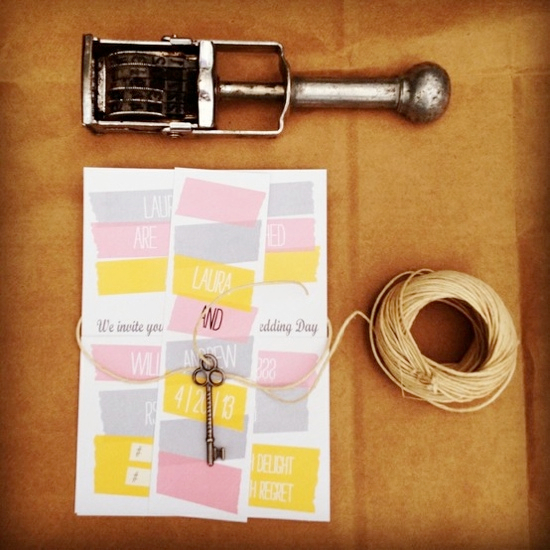 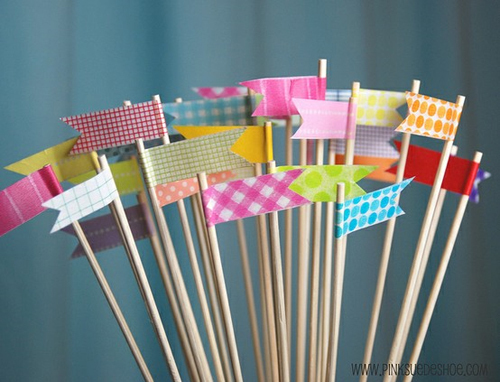 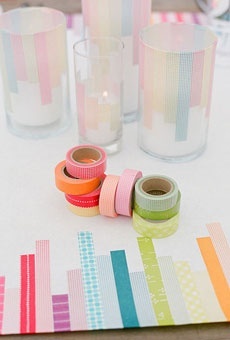 Get inspired by these 6 ways to easily transform your wedding with washi tape and learn why crafty brides just can’t put the stuff down. 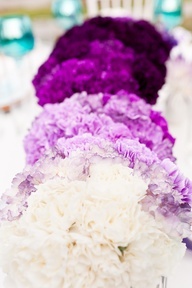 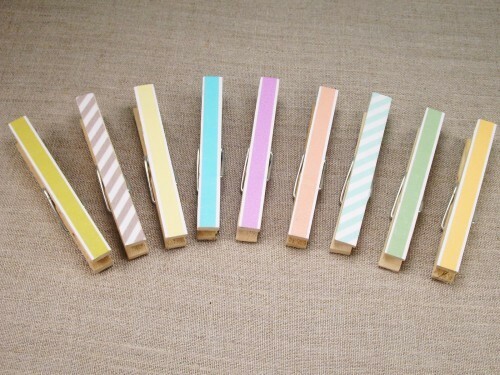 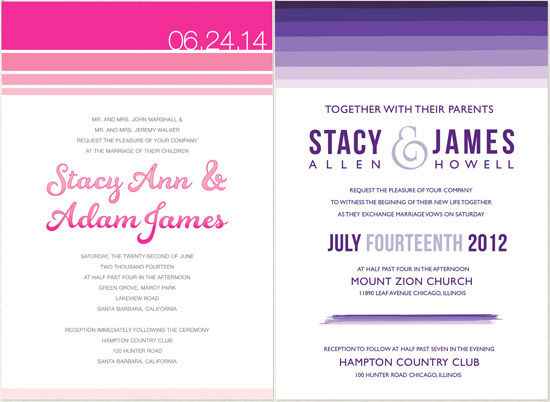 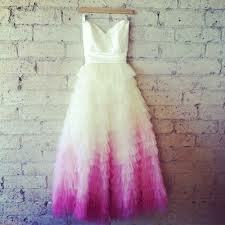 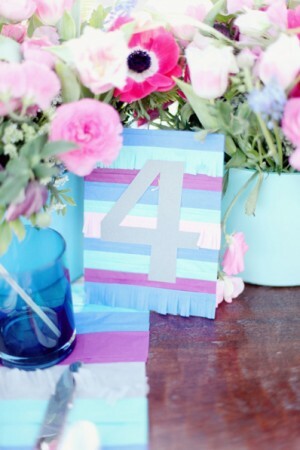 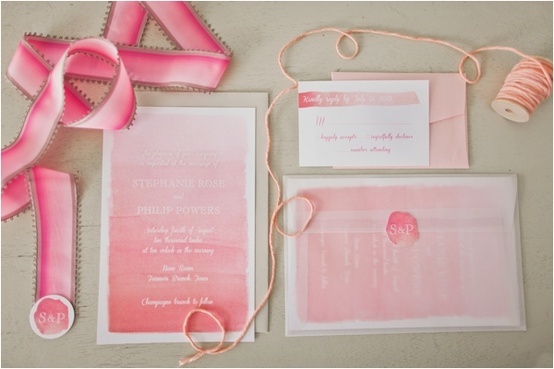 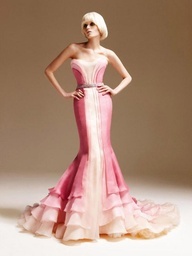 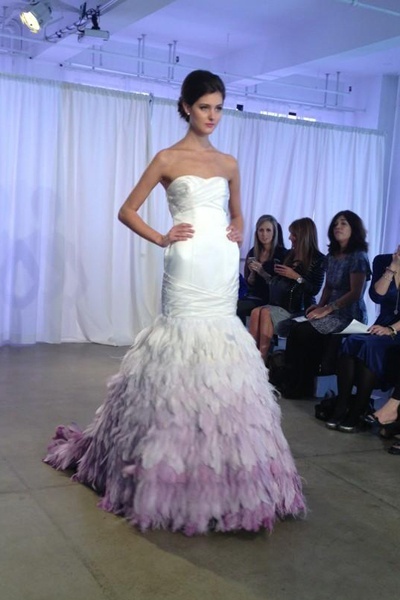 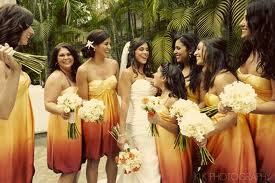 Ombre mania is one of the biggest trends among weddings and is consistently growing in popularity. 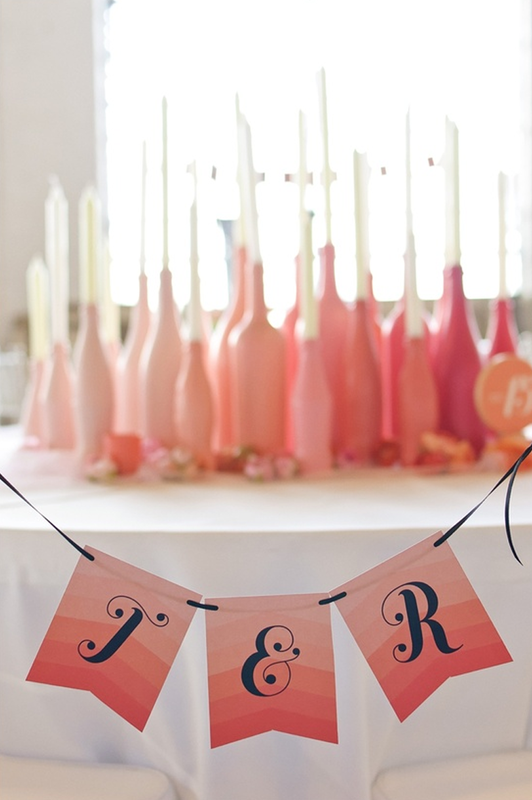 This style can easily be incorporated into your wedding theme by adding moderate touches or including it within every detail. 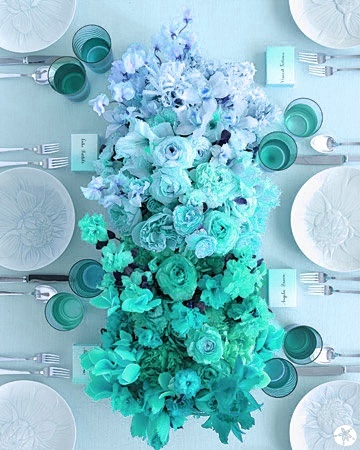 The simple concept of playing with color tones can leave a dramatic impression and complements both modern and softer wedding aesthetics. 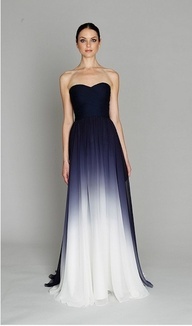 Picking an ombre wedding dress is a bold statement that can pump-up the wow factor of any gown that boosts a traditional silhouette. 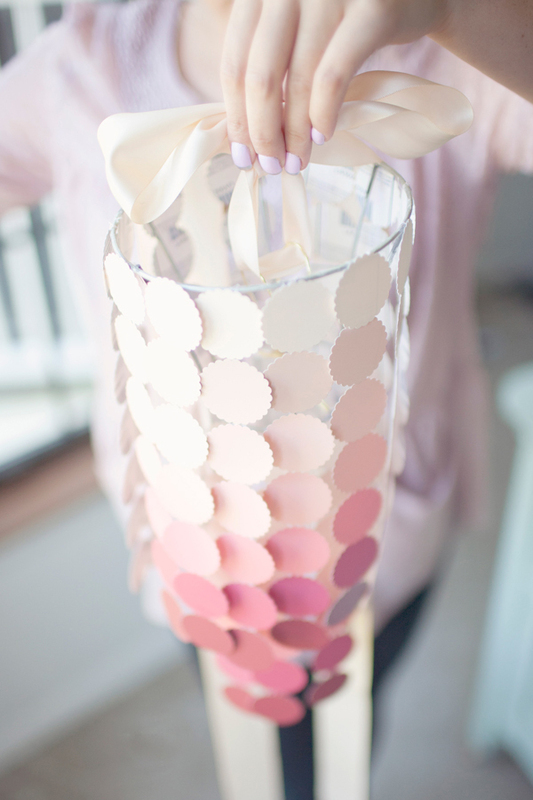 The touch of of color can be as dramatic as you desire but you can keep it slight to add just a hint of personality to your look. 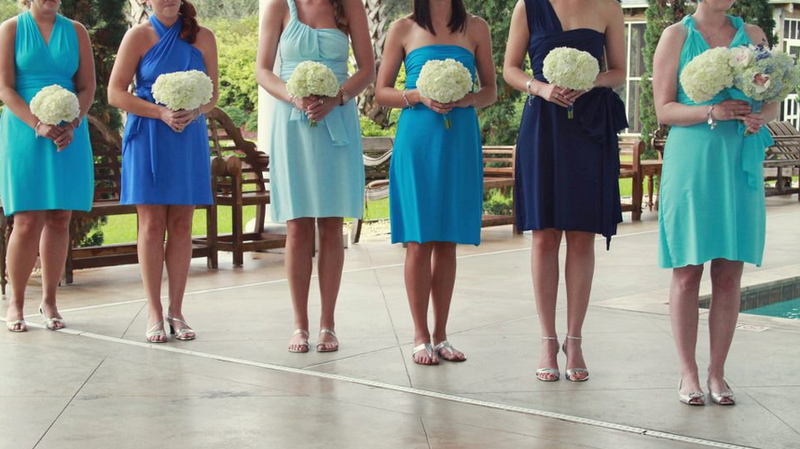 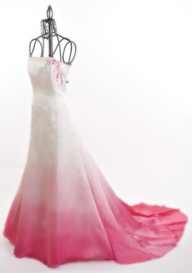 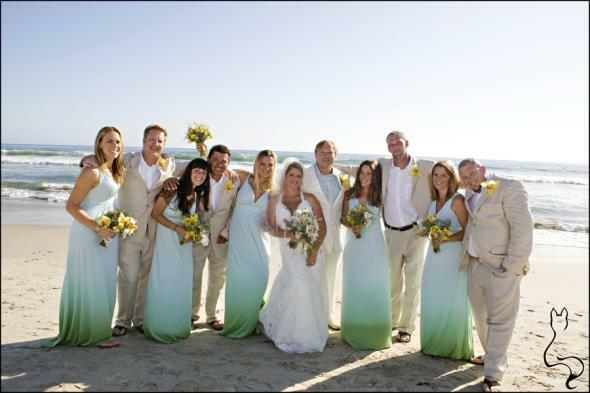 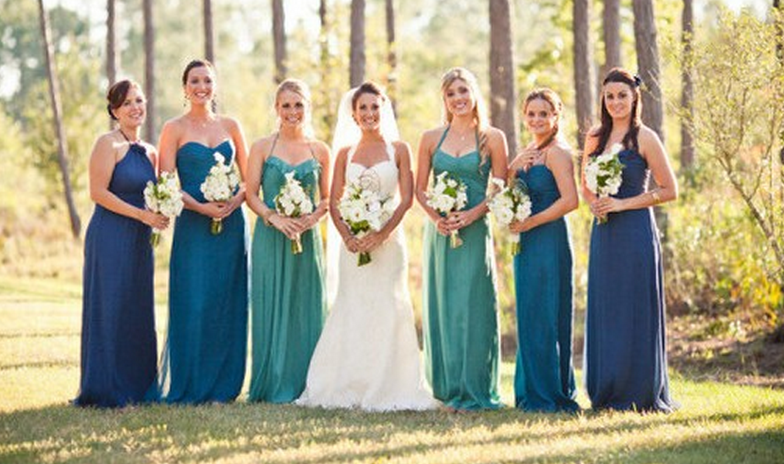 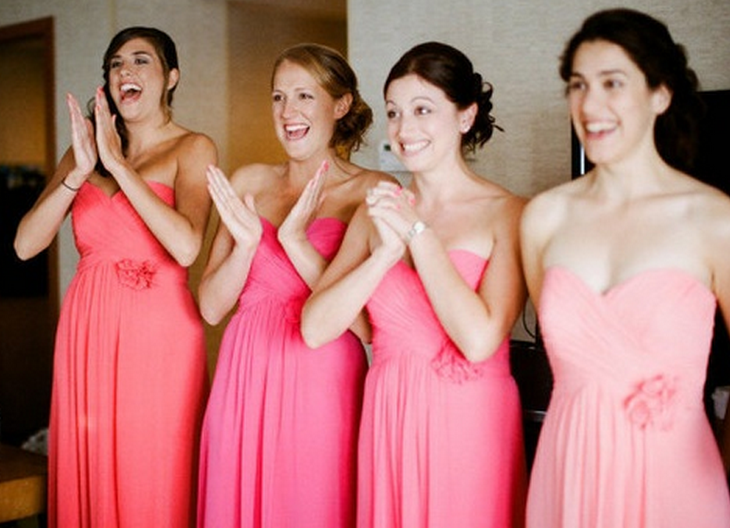 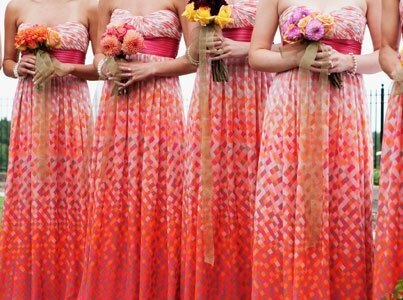 Ombre bridesmaid dresses are a strong way to capture your theme during the ceremony and in pictures. 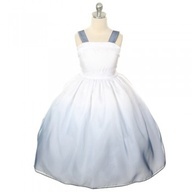 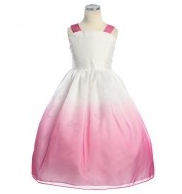 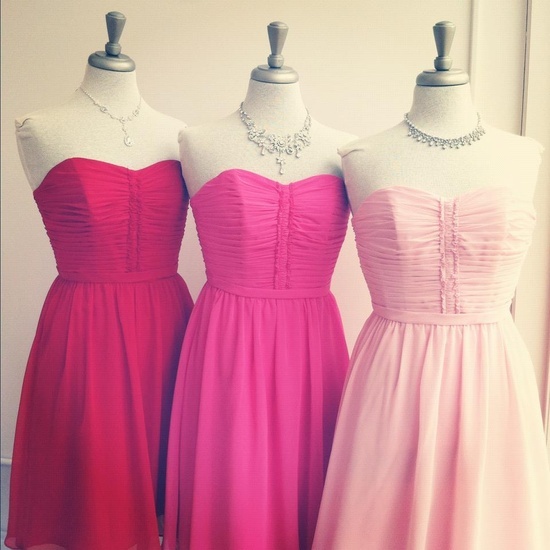 There are two styles of ombre dresses that you and your girls can choose from: either different dresses and have each girl in a varying shade of your specific color or a dress that changes in tone from light to dark. 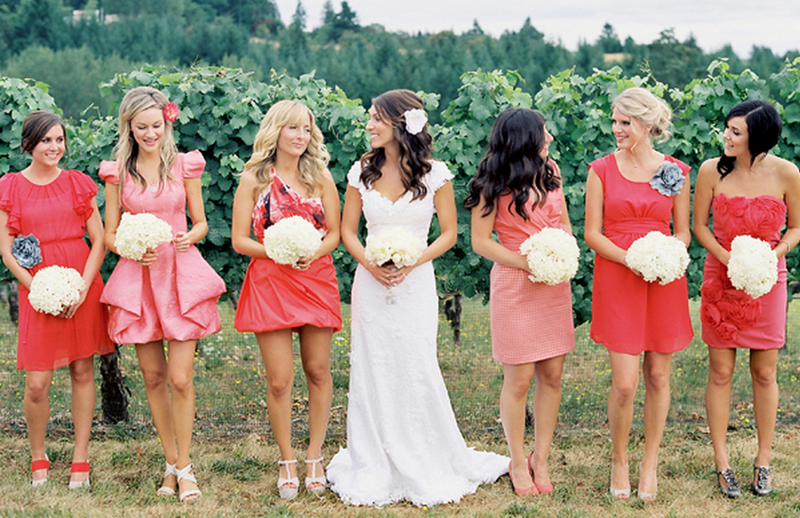 Both options are fresh looks that will leave your bridesmaids glowing instead of second guessing your friendship. 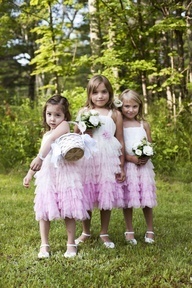 And don’t forget about the little ladies! 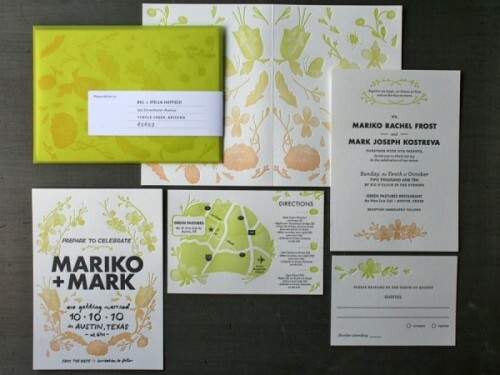 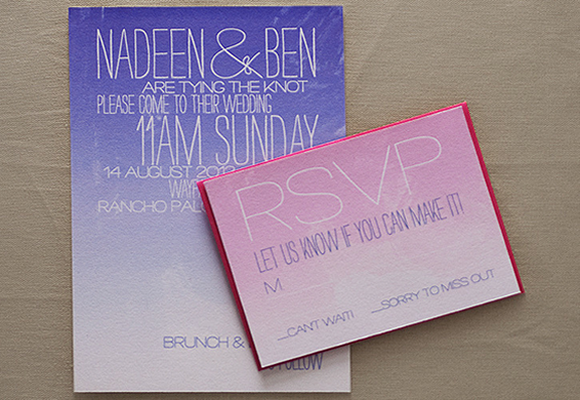 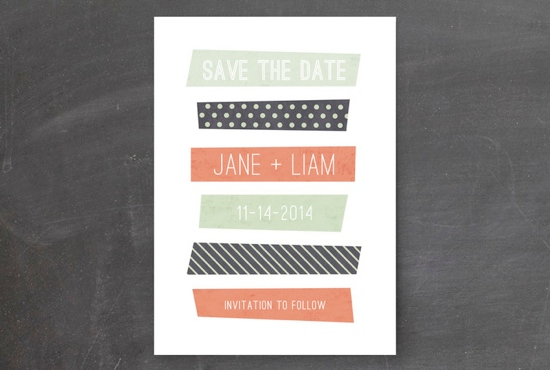 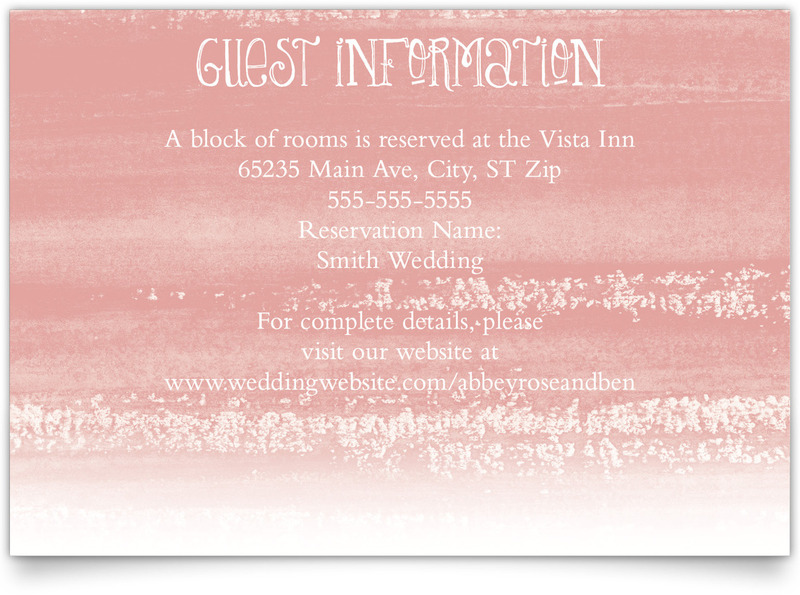 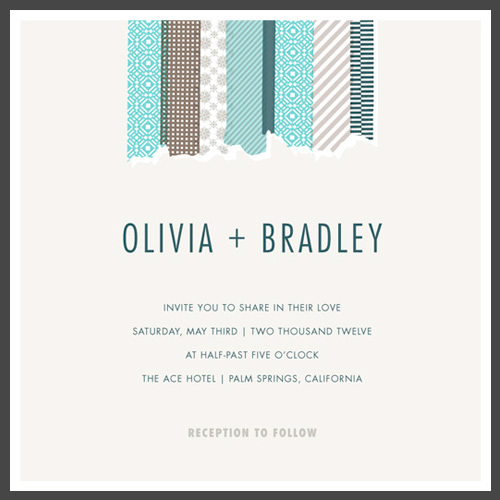 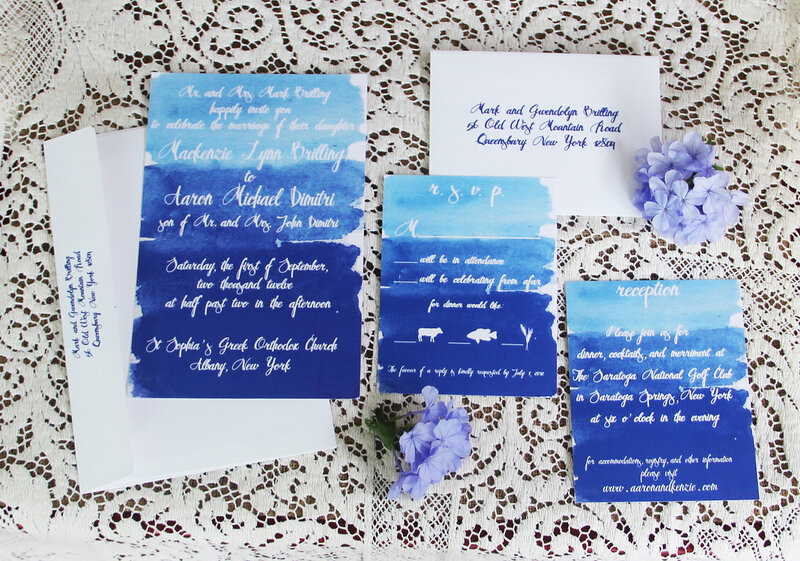 Your wedding theme is introduced to guests as soon as you send out the save-the-date or invitation and should be consistently maintained throughout the event. 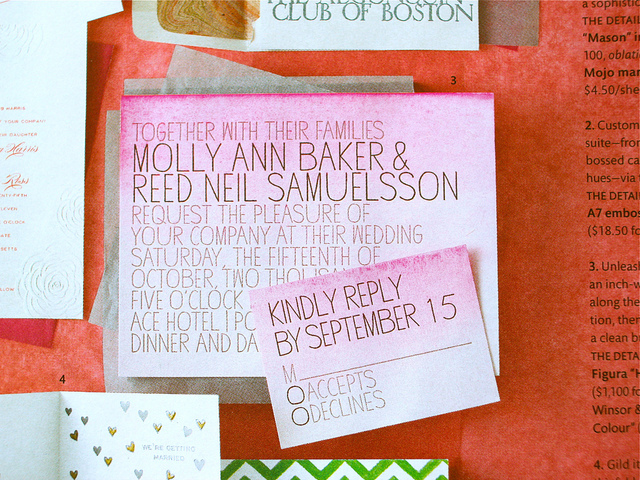 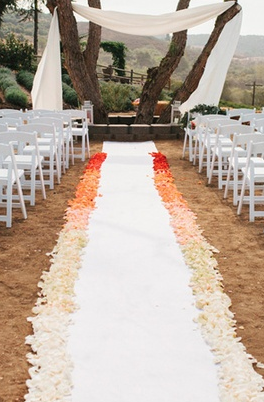 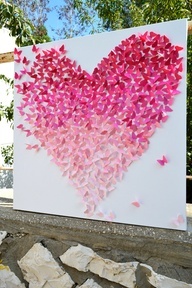 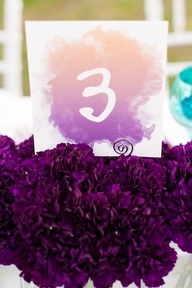 A spectacularly planned wedding is detail orientated and creatively enhances the design with simple touches. 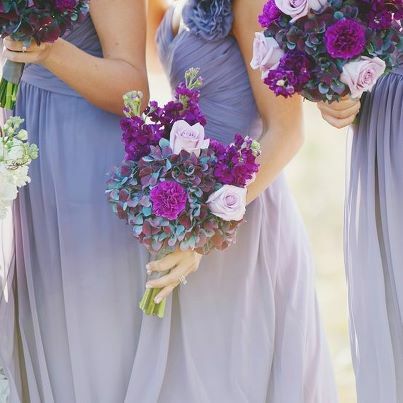 Elegant flowers arranged by color can be the wow factor that every bride wants to see when she walks into her reception for the first time. 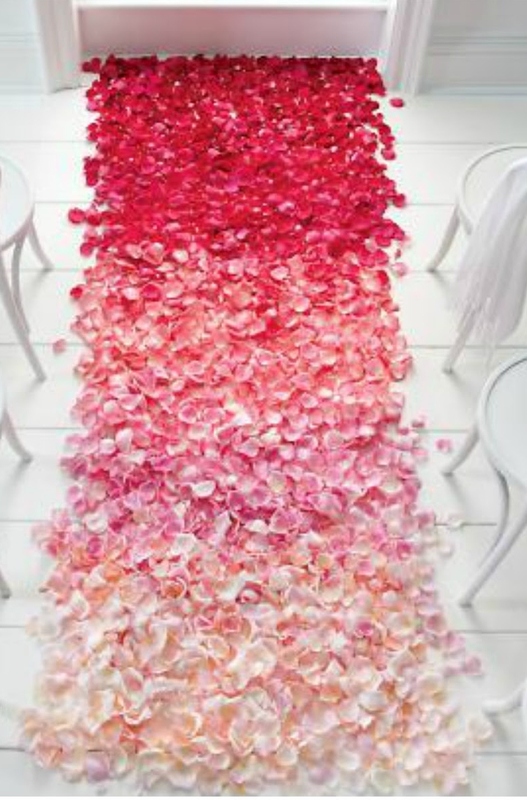 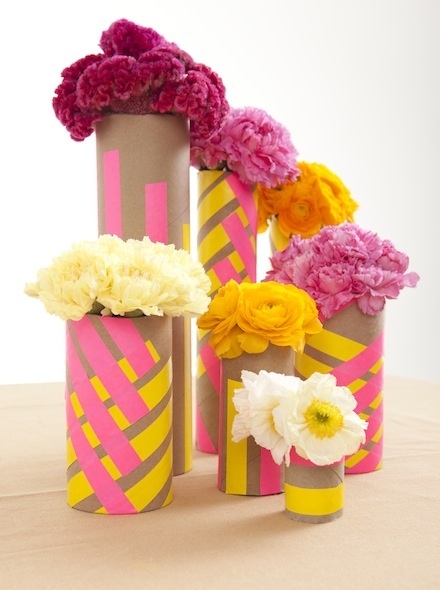 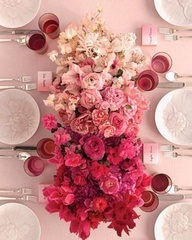 Placing flowers from subdued to bold creates a vibrant feel that can be carried throughout the decor. 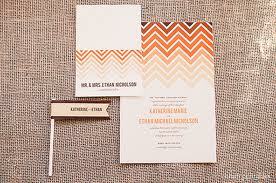 The best part is that this theme is possible with any budget! 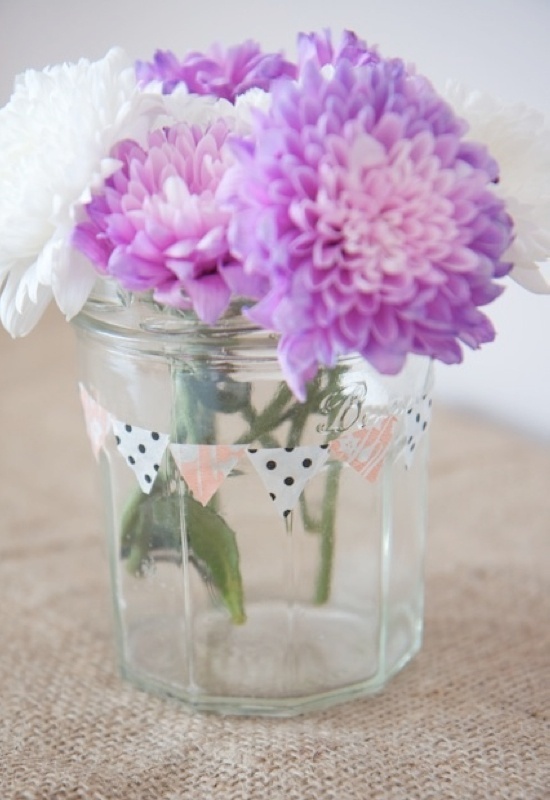 Because the effect works with any flower, you can pick flowers that are in season and have a trendy wedding without overspending. 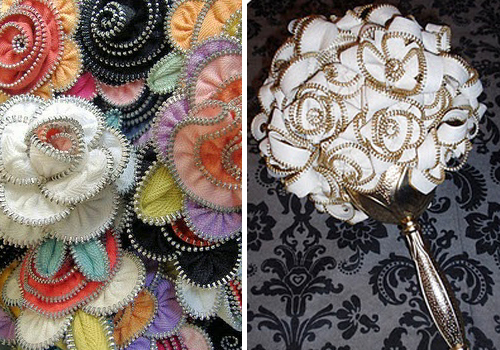 A thrifty bride is always a happy bride…especially when the outcome looks so expensive! 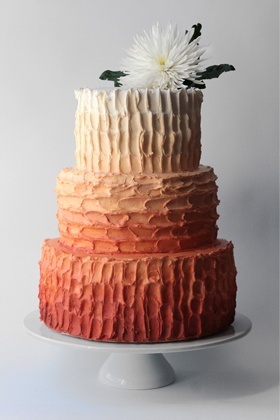 The ombre wedding cake is the easiest yet most diverse way to incorporate the ombre style into any wedding. 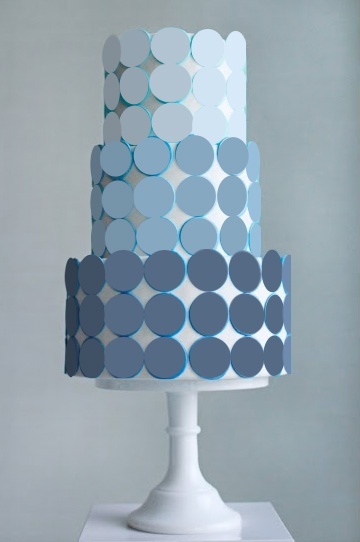 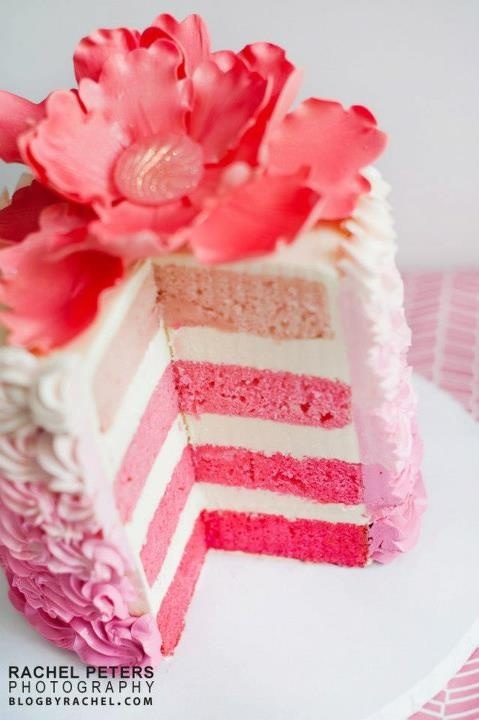 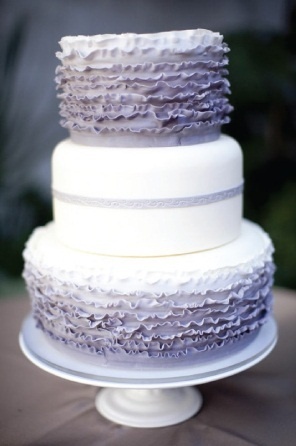 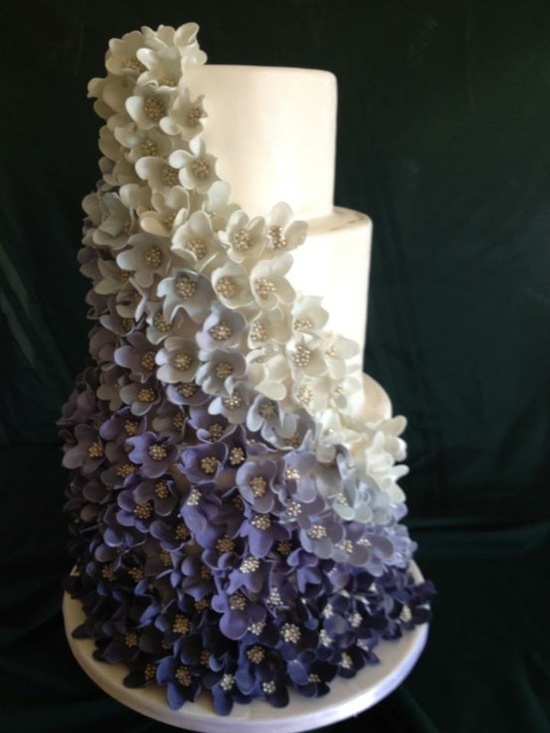 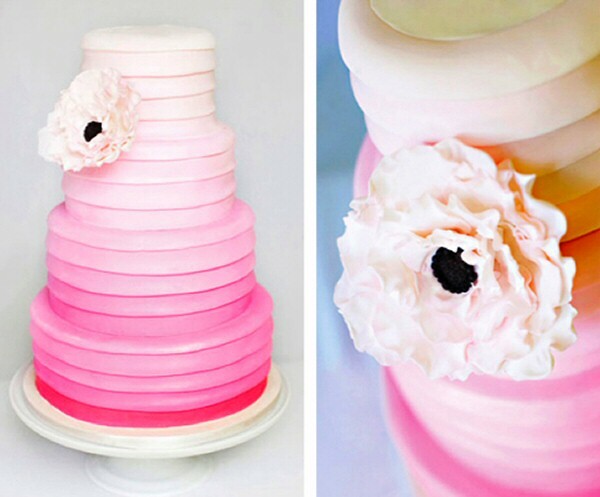 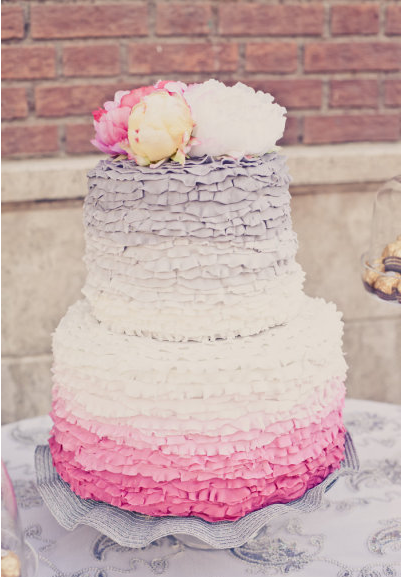 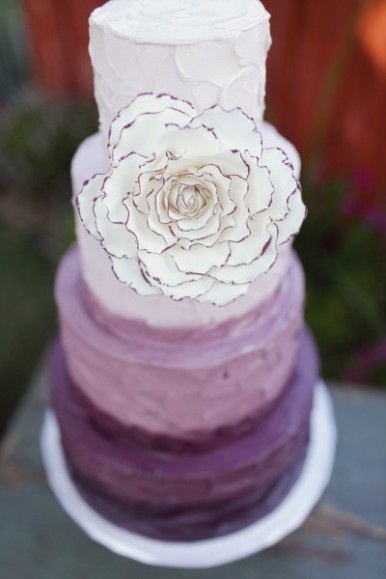 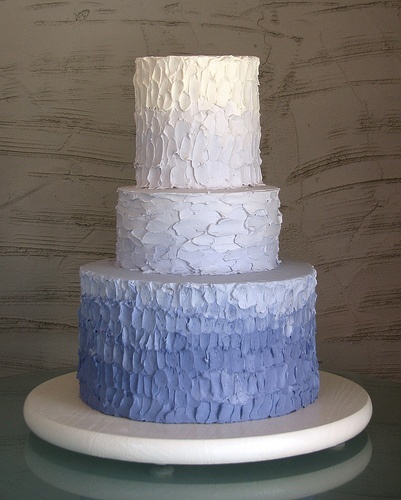 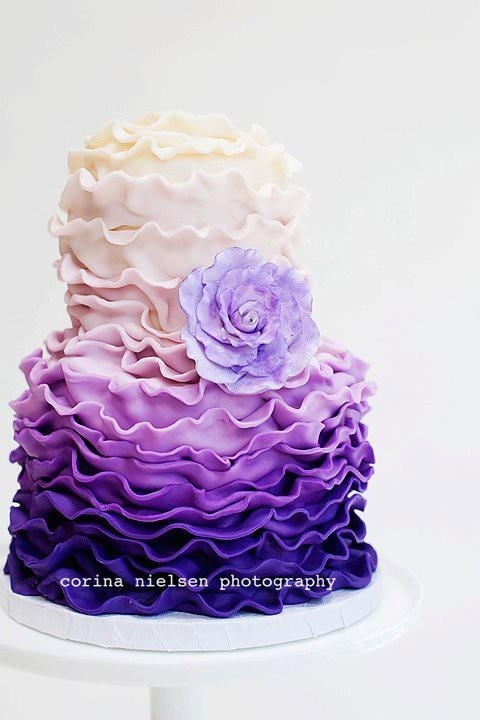 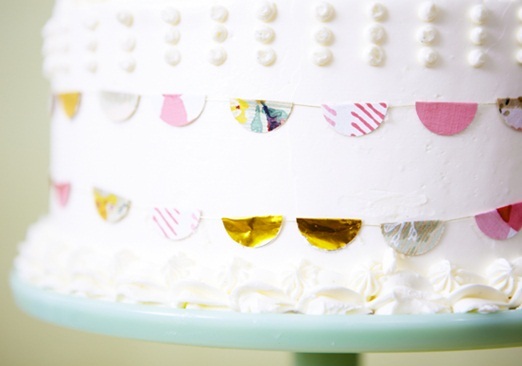 You have the option of selecting ombre layers within a cake, ombre fondant/decor on the outside, or both! 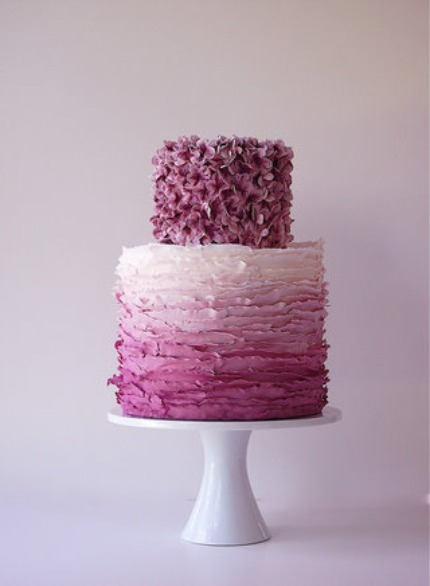 Just like with the ombre trend in general, an ombre wedding cake is just as stunning whether it has a contemporary or ruffled look. 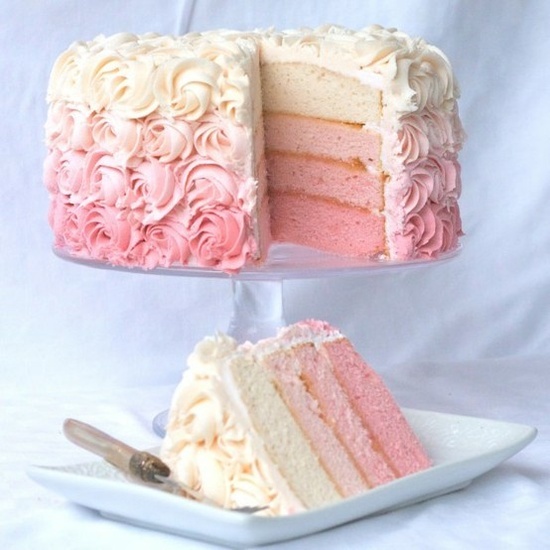 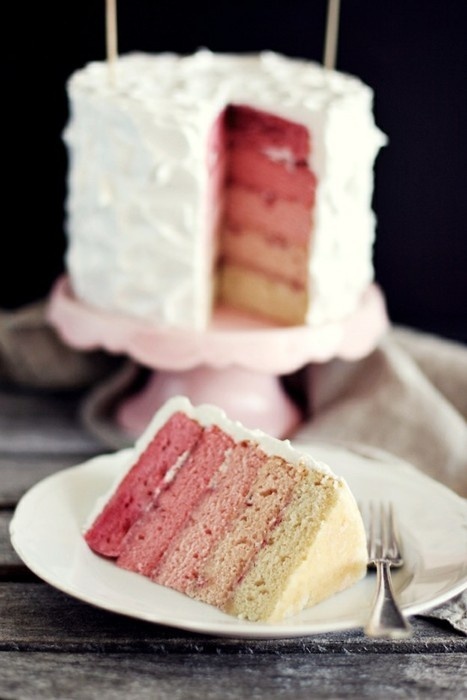 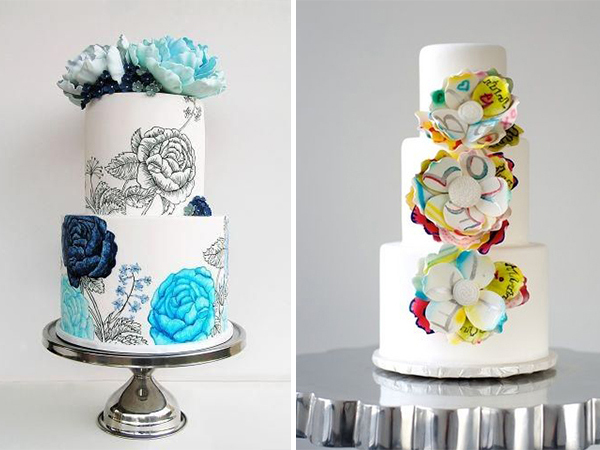 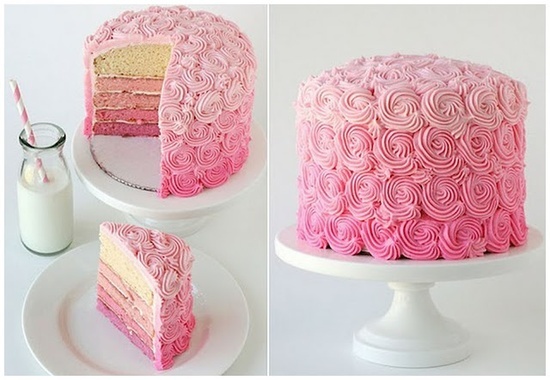 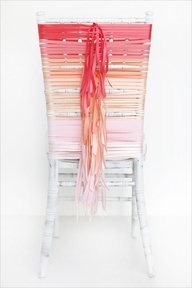 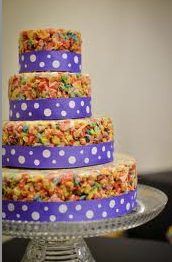 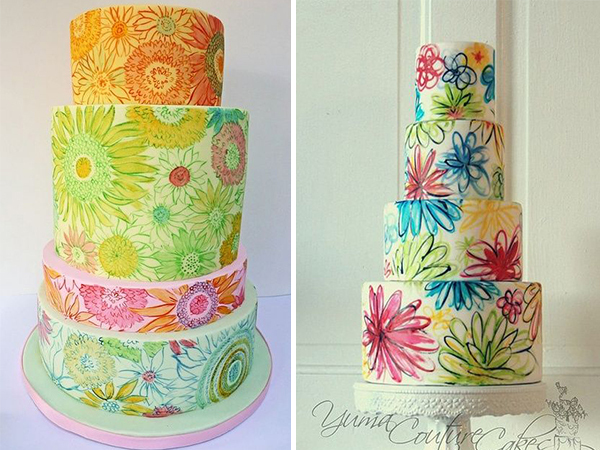 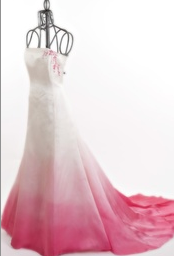 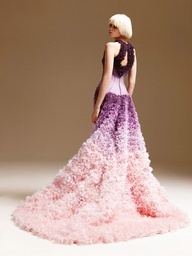 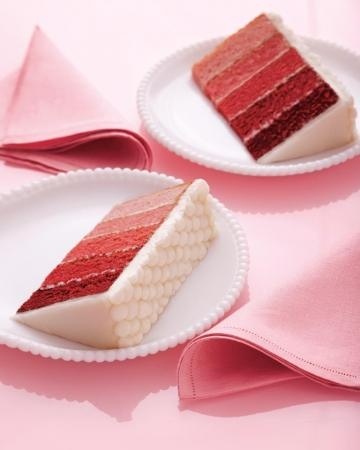 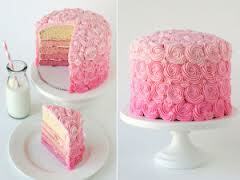 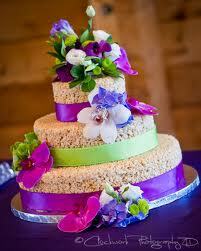 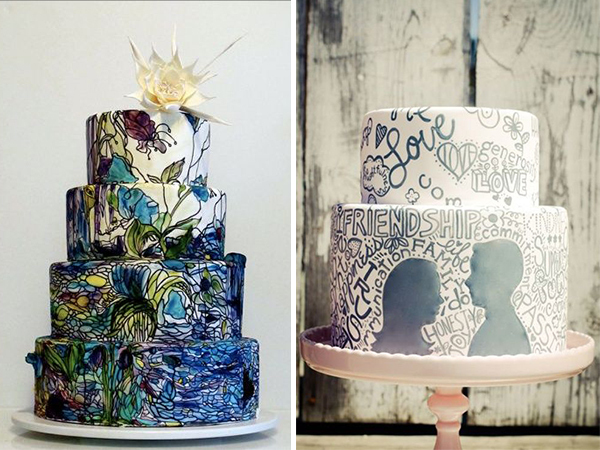 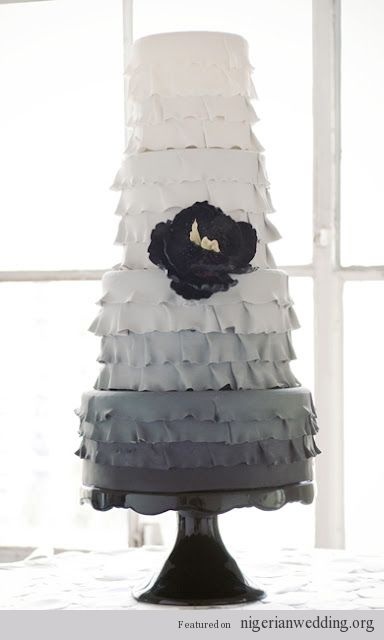 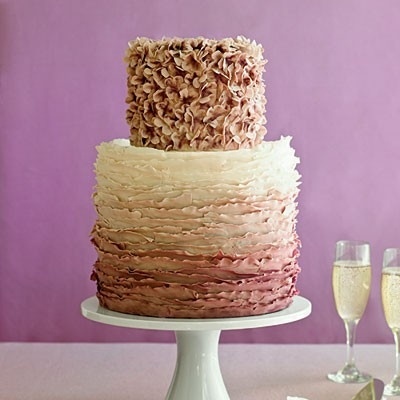 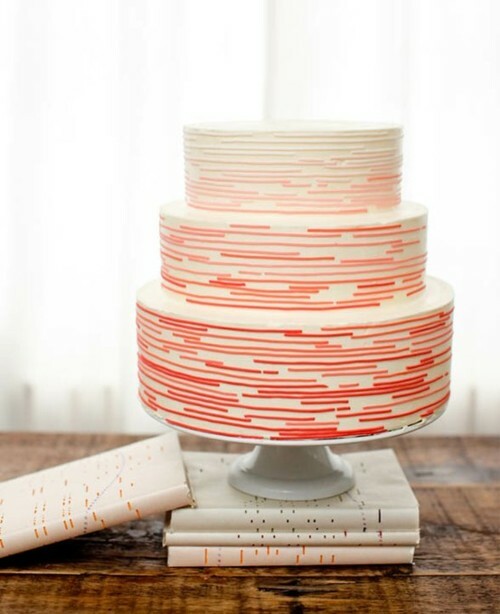 You are free to interpret the ombre trend in any direction and the cake is the centerpiece for your creativity. 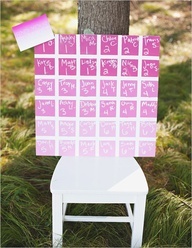 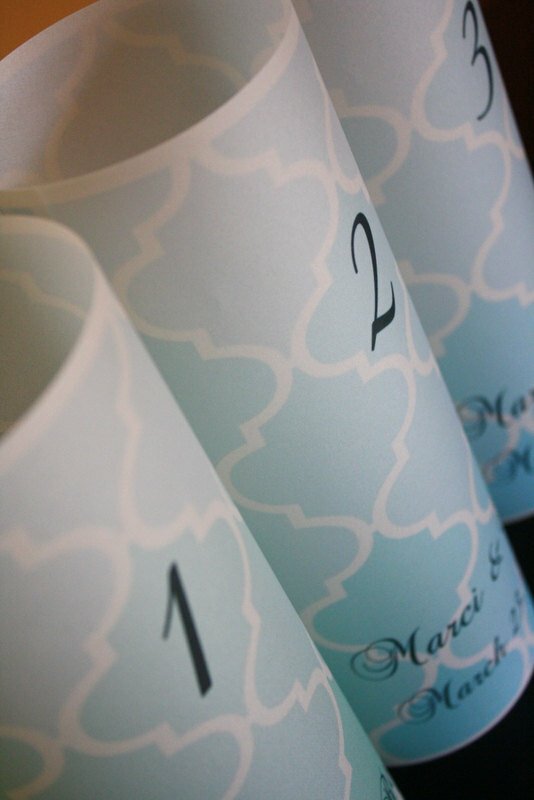 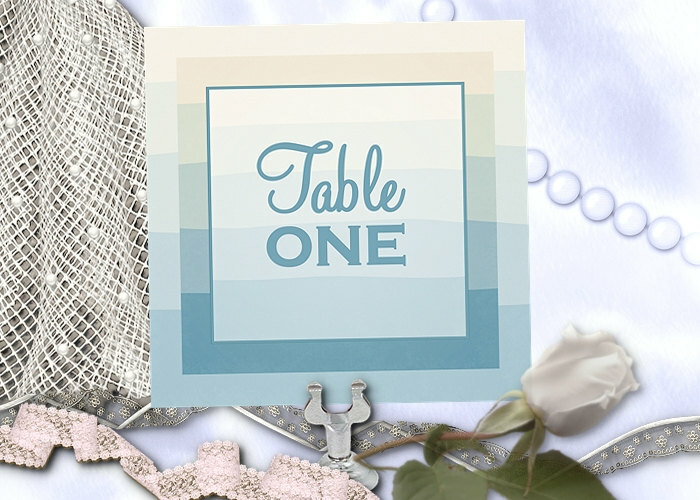 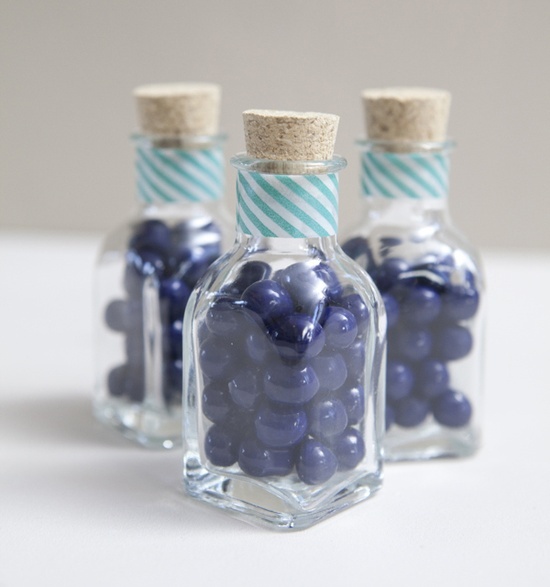 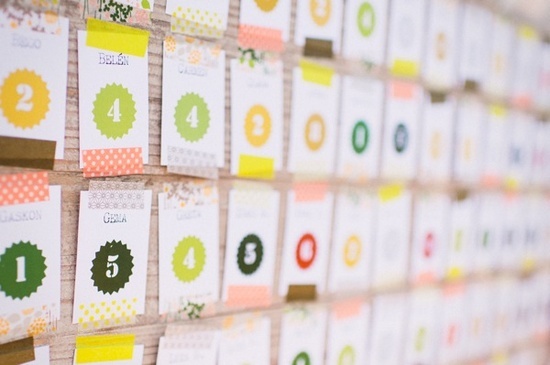 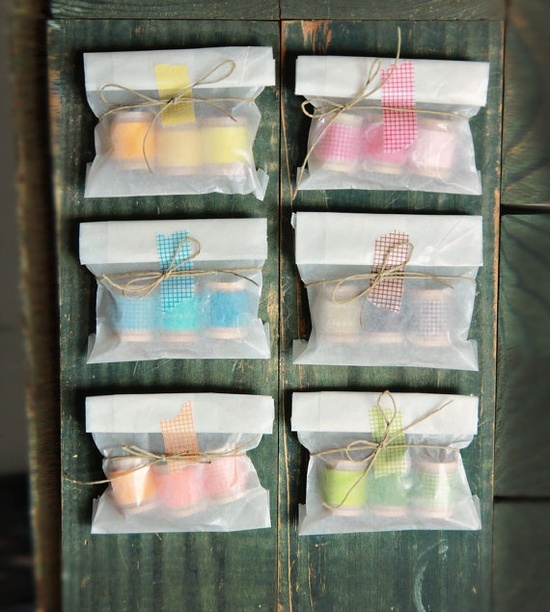 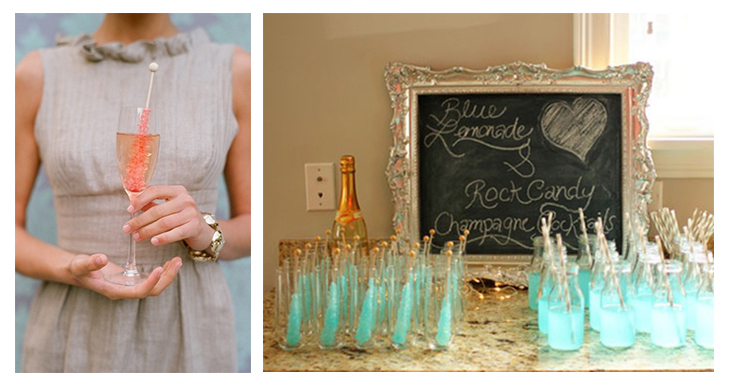 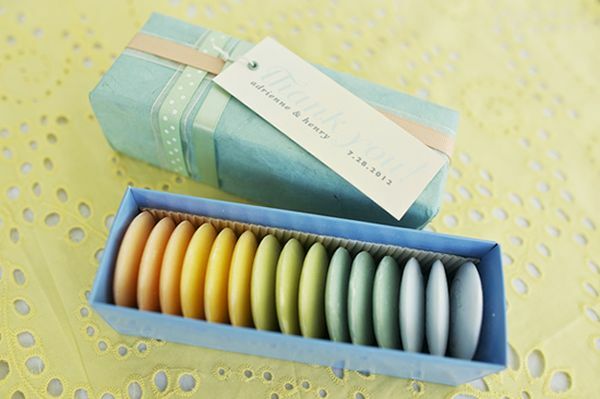 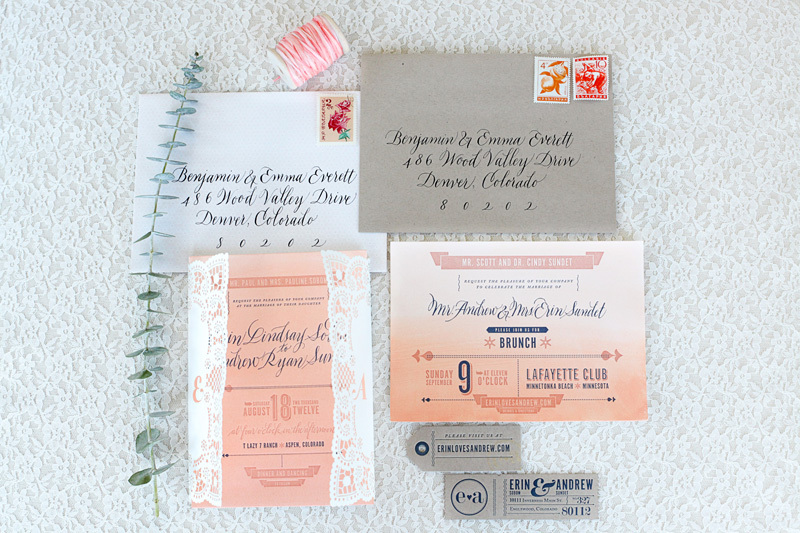 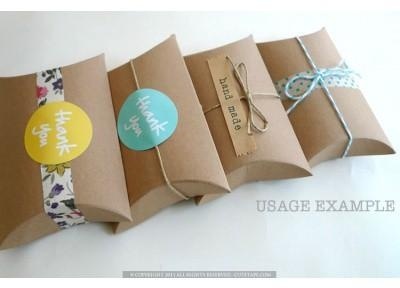 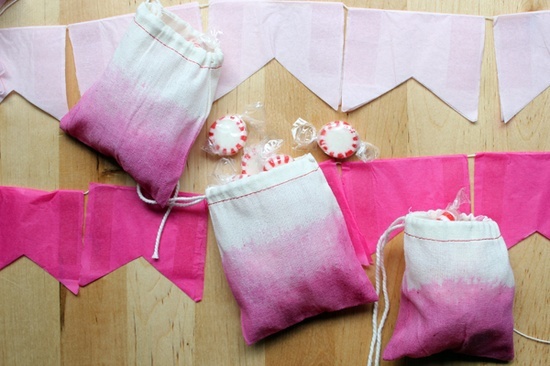 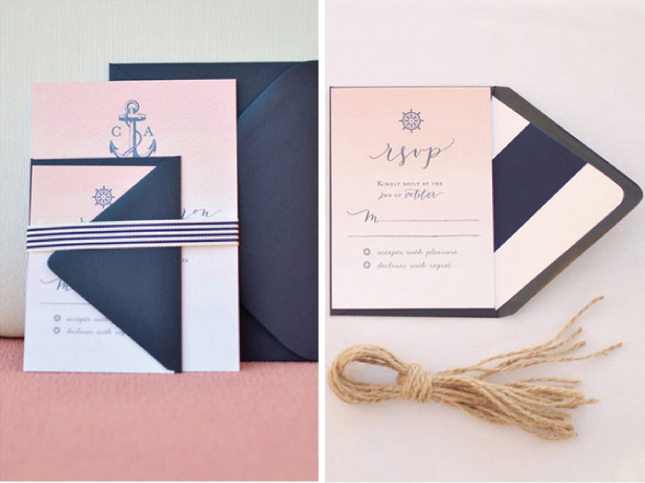 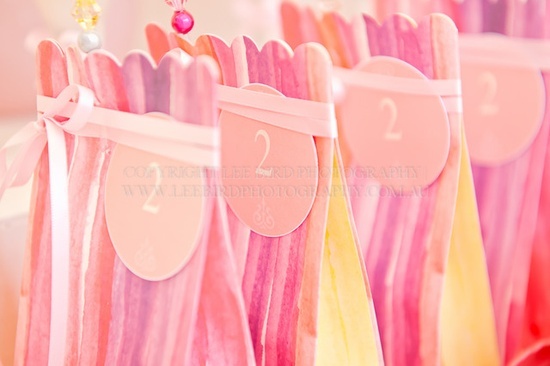 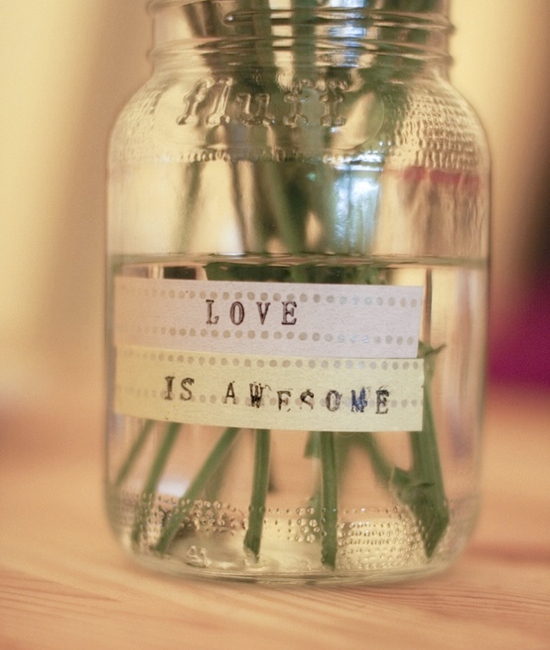 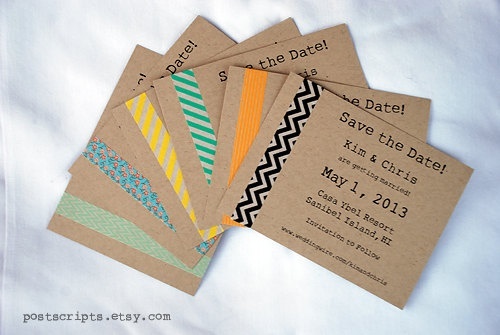 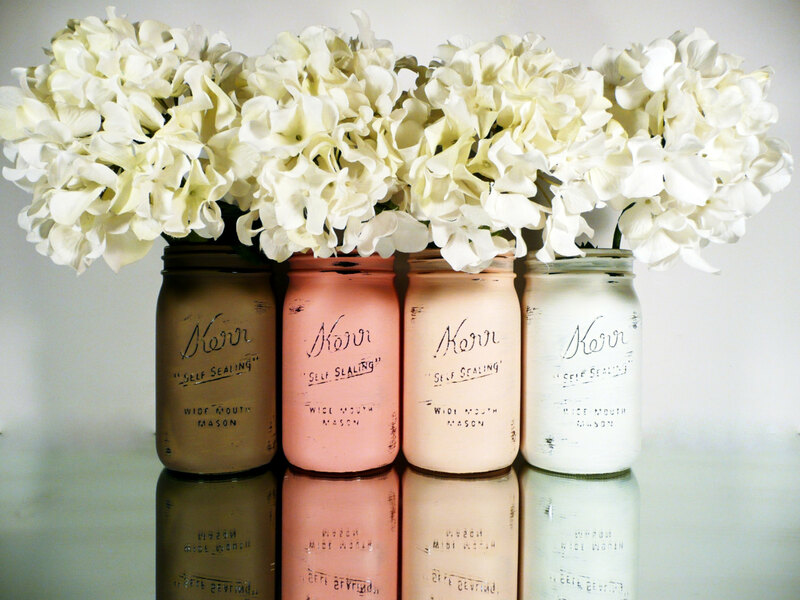 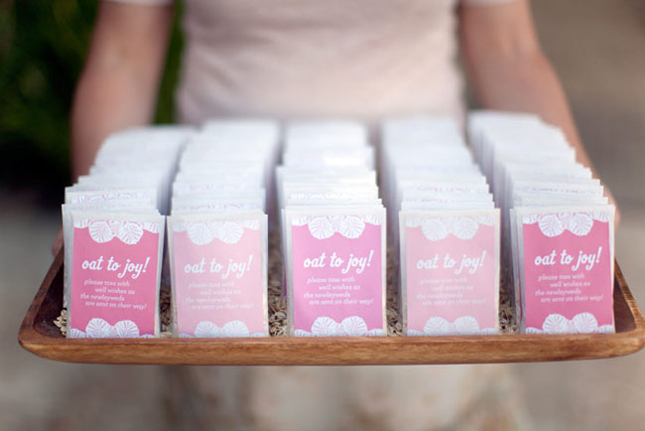 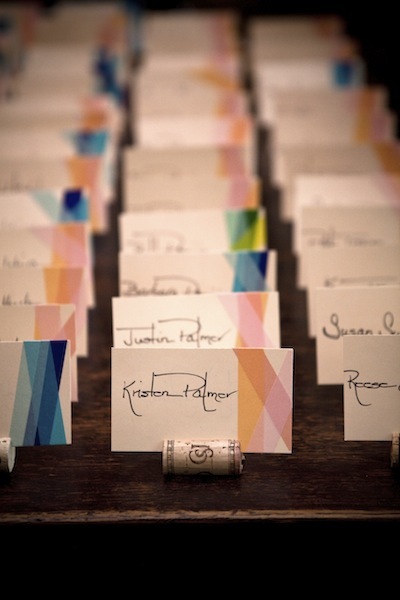 Favors are the last impression that your guest will take away from your wedding. 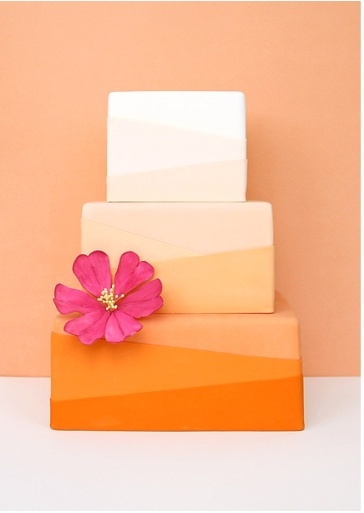 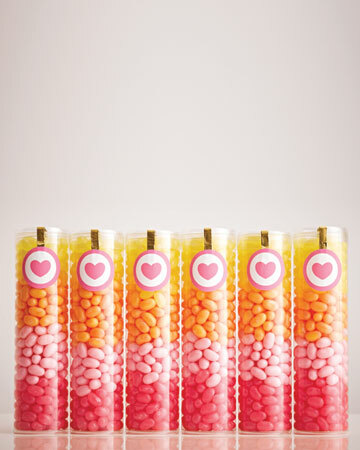 Whether it is through sweet treats or elegant packaging, your ombre inspiration can impact your guests through to the very end. 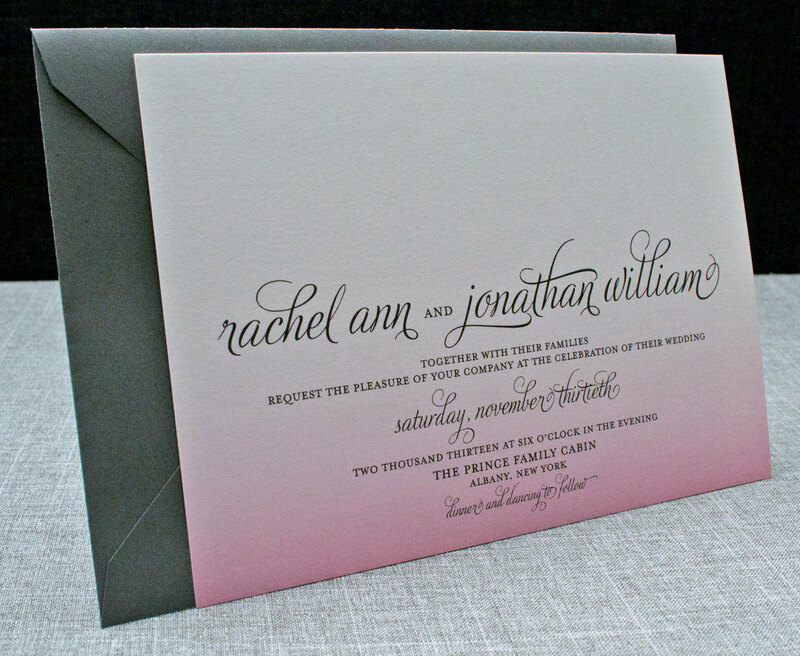 Both Lady Mary and Blair finally tied the knot during two highly anticipated episodes of their respective shows and these lavish affairs had more in common than the average TV junkie may assume. 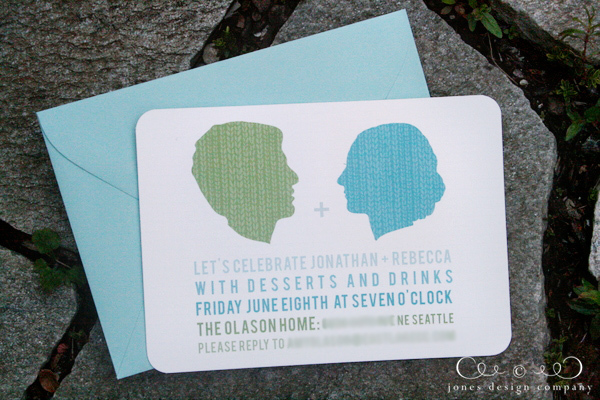 One involves British nobility while the other joins American royalty. 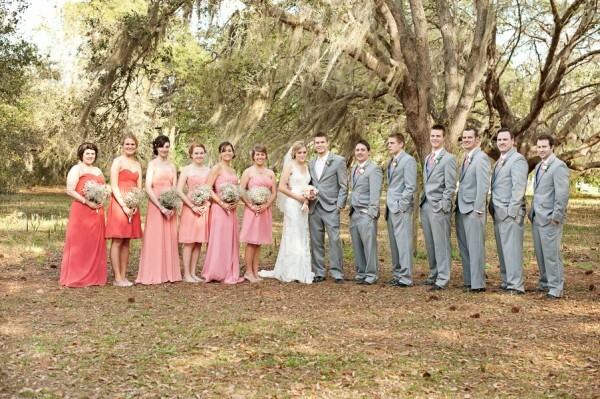 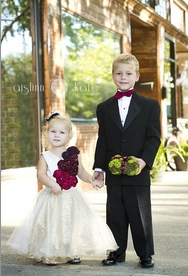 Both blushing brides are paired with grooms who are so perfectly polished that it should be illegal. 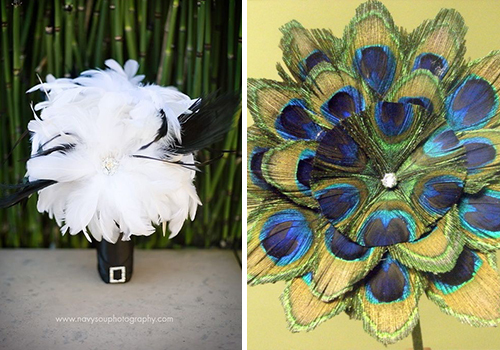 And even though one wedding takes place in the 1920s while the other is set in 2012, they both feature a strikingly similar garland encrusted headpiece that adds a glamorous final touch to both of their wedding styles. 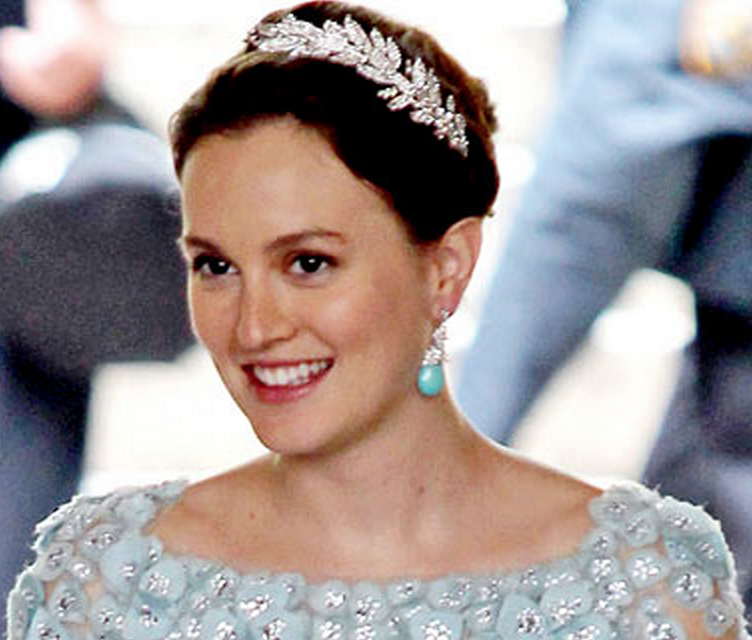 Downton Abbey’s main character Lady Mary’s diamond embellished tiara is a family heirloom that her sister Lady Edith also rocks during her own wedding (even though this wedding isn’t as successful). 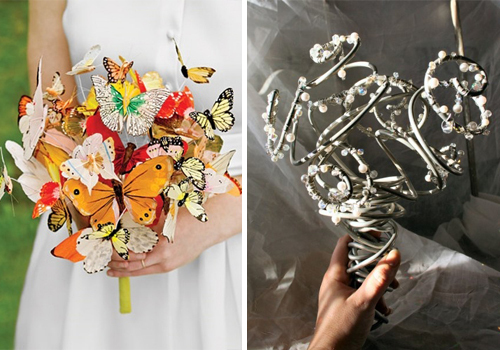 This vintage headpiece was created by by royal jewelers Bentley & Skinnner and helps carry Mary’s silver motif through with its dazzling 45-carats. 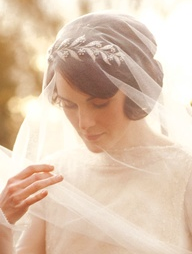 This timeless headpiece worked flawlessly with both Lady Mary and Blairs wedding ensambles but that doesn’t mean you can’t be brave and explore other bold options! 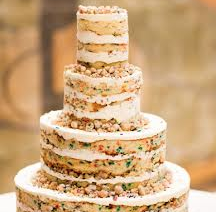 Nothing screams “90’s wedding” like vanilla cake with buttercream. 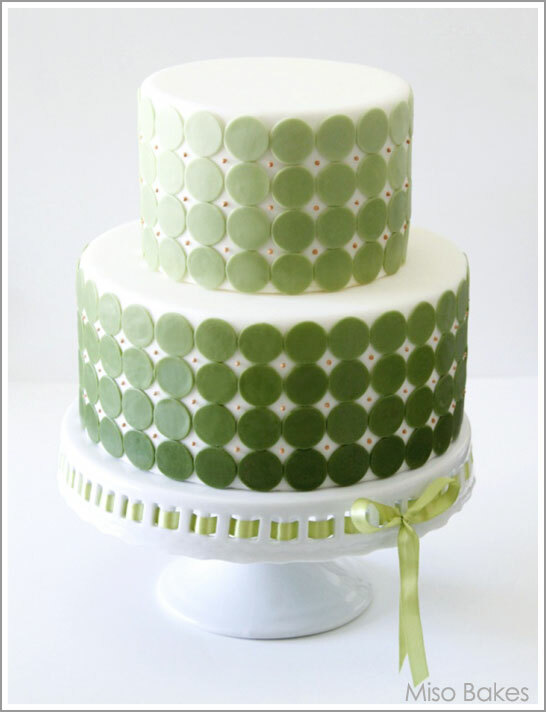 Nothing brings to mind images of weddings circa 2002 faster than globs of fondant. 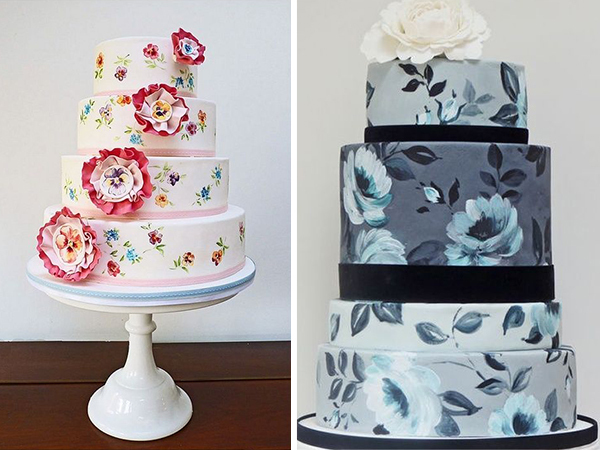 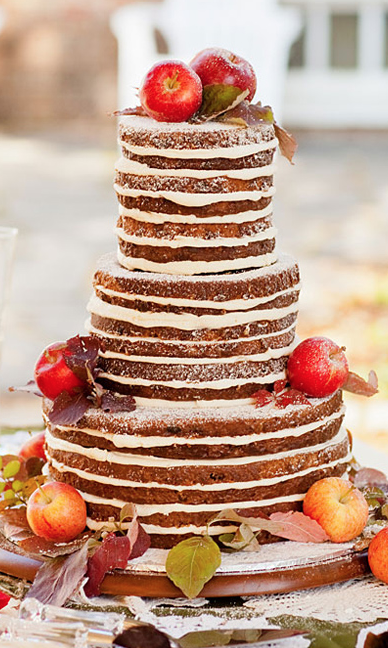 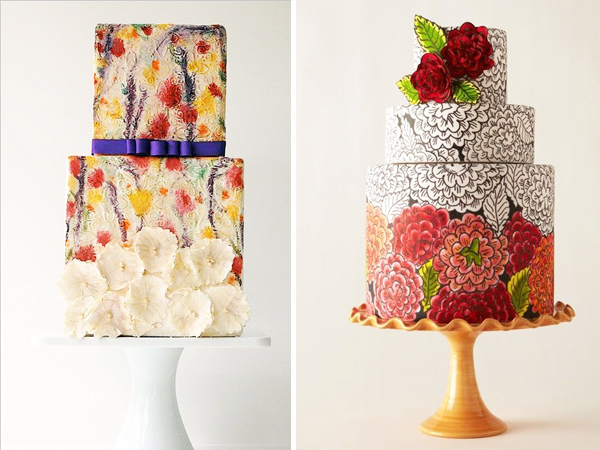 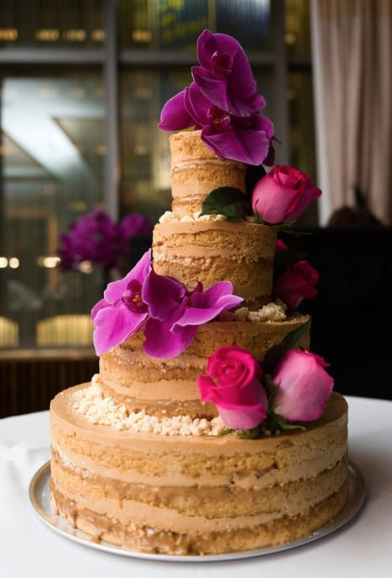 For a fresh take on the standard wedding dessert check out these 7 non traditional wedding cakes and get inspired to leave your wedding guests craving more. 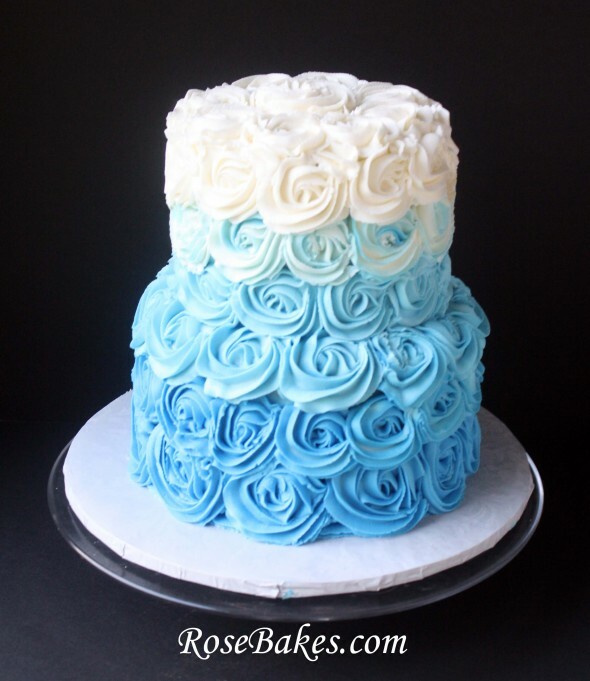 “I want more buttercream!” said no one ever…. 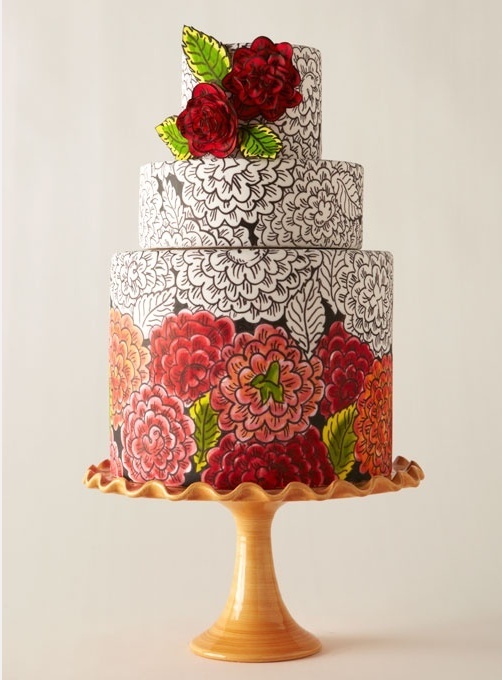 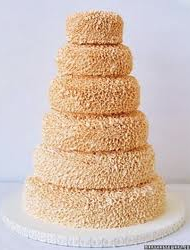 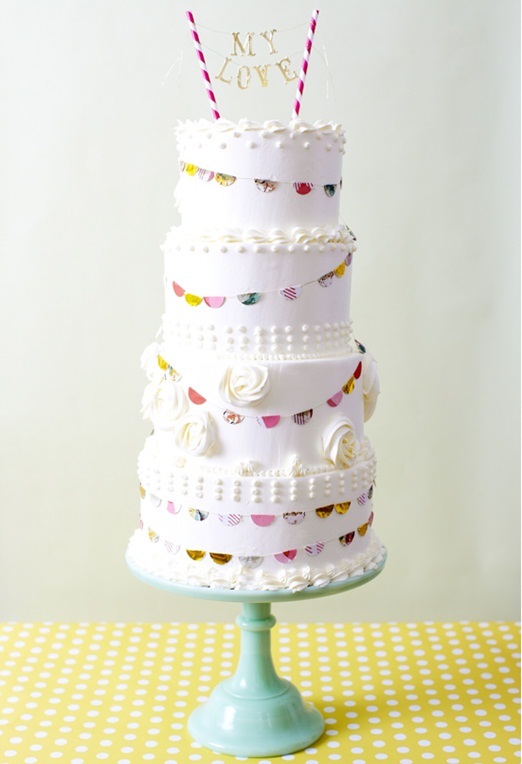 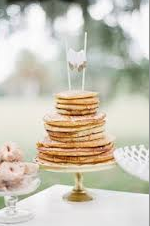 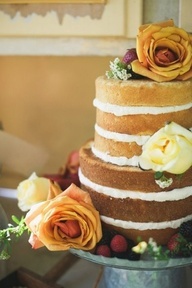 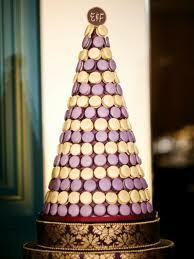 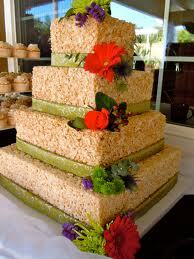 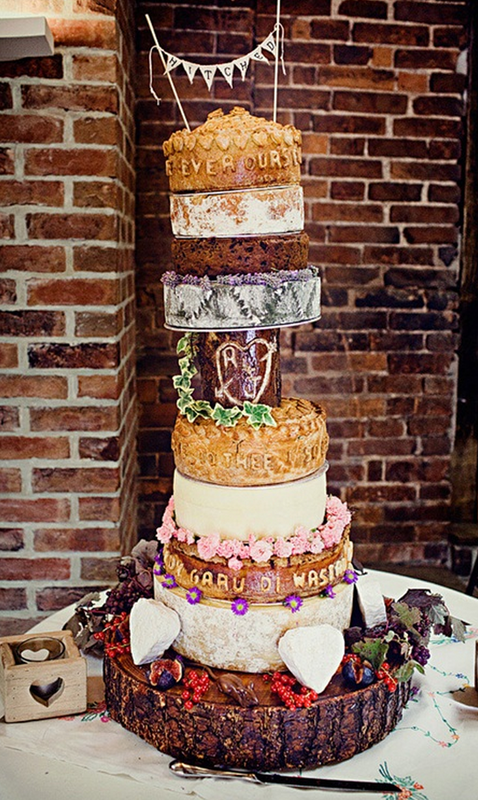 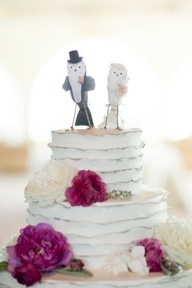 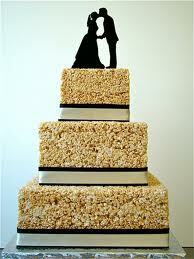 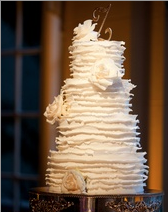 Redefine the tired wedding cake by serving your guests the visually unexpected. 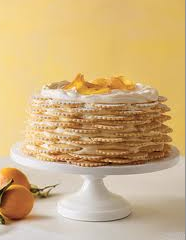 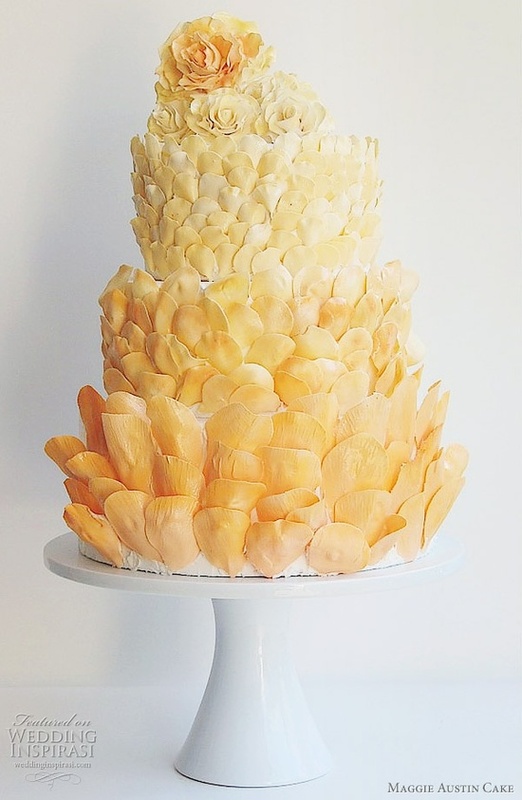 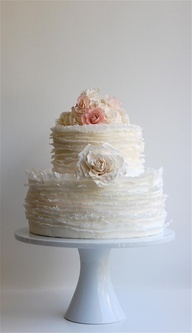 Show off the insides of your luscious cake by opting for layers filled with seasonal fruit or accenting them with specific flowers instead of picking the typical sheath of icing. 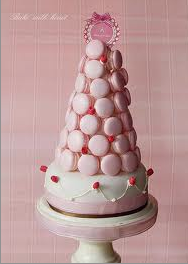 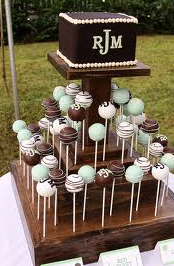 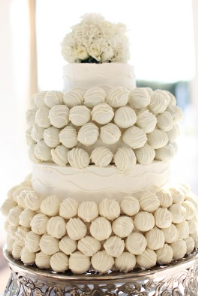 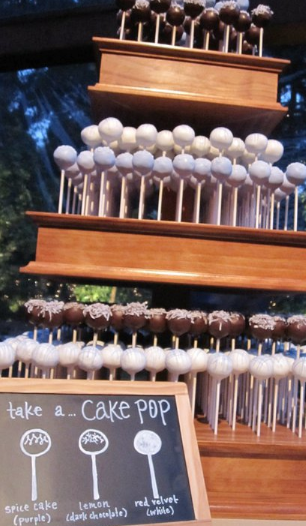 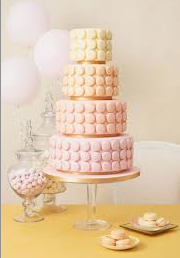 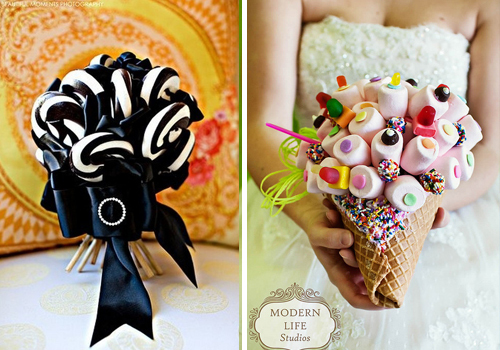 For a serious wow-worthy moment opt for a wedding cake constructed from individual cake pops. 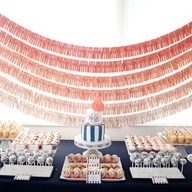 You still can achieve the dramatic look of multiple tiers but you’ll skip on the cake-cutting cost by allowing guests to serve themselves by grabbing a pop or two. 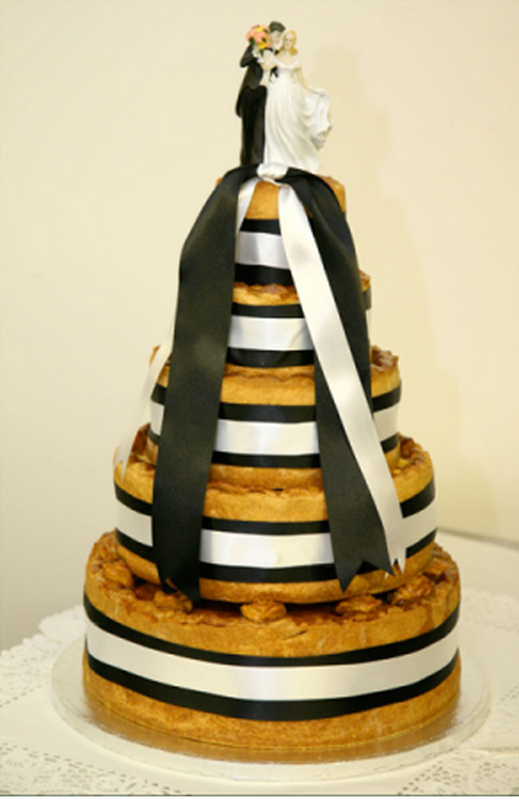 Let them eat pie! 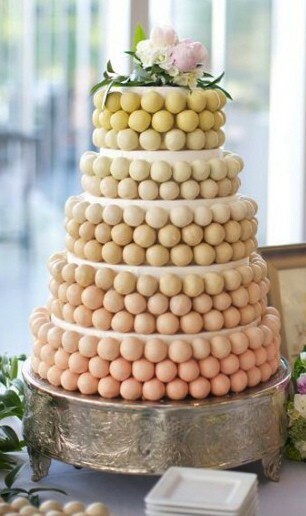 Pick your favorite flavor or dedicate each tier to a different filling and you will have a simple yet chic dessert for your reception. 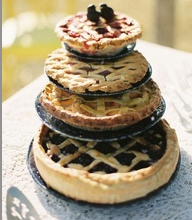 Pies are all of the rage and with endless flavors to pick from it could easily take a day to taste and customize your stacks. 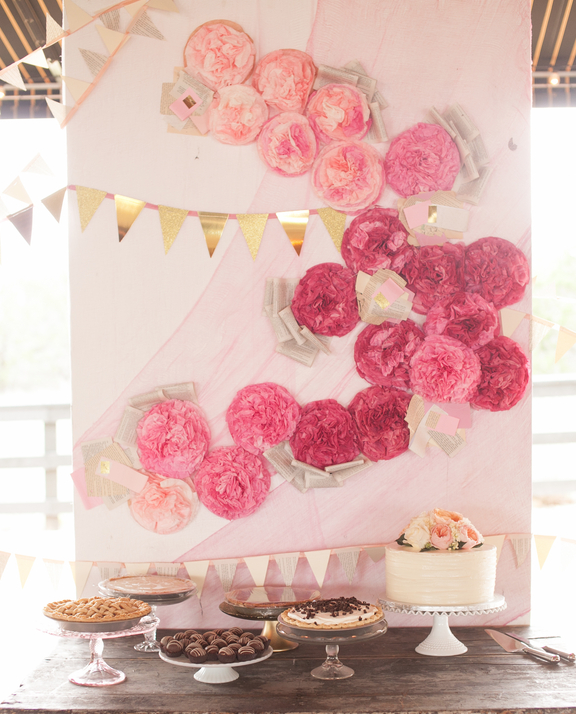 Sampling endless pie…I can’t think of a better way to spend an afternoon. 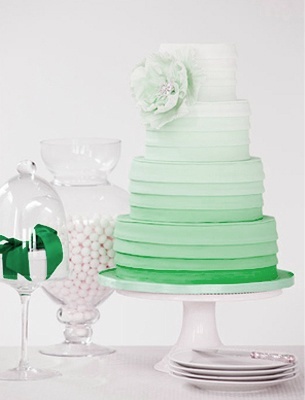 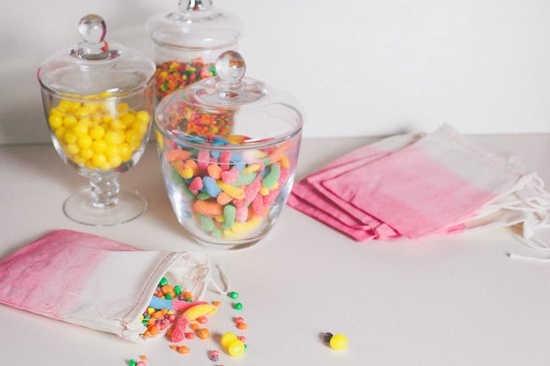 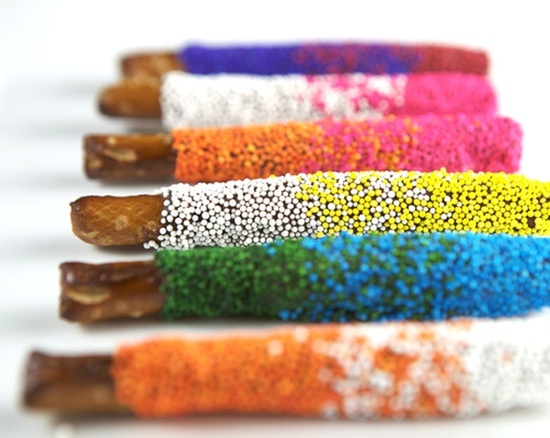 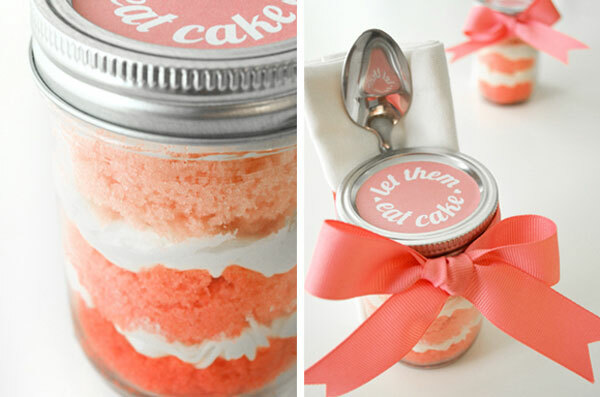 These sweet treats can be ordered to compliment any color scheme while adding a modern vibe to your dessert display. 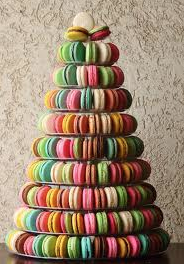 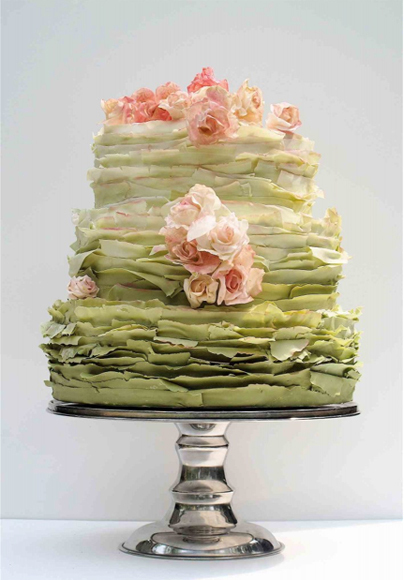 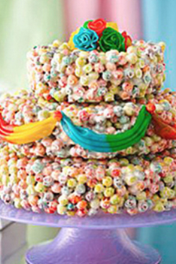 Whether it is is a supplement accent or the entire “cake” this french treat adds a sweet spirit to any American wedding. 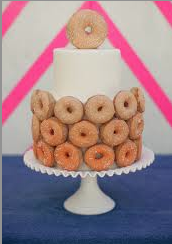 For a totally unique last course, why not serve your favorite first meal of the day? 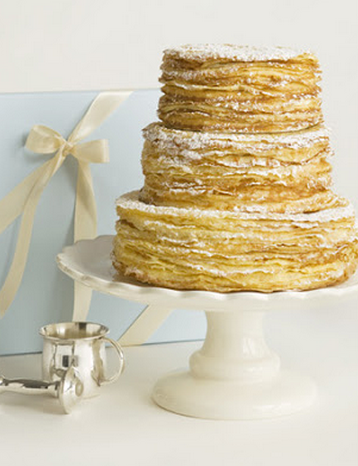 Crepes, doughnuts, or pancakes can all be stacked in the shape of a classic wedding cake but that is the only thing conventional about this tempting dessert. 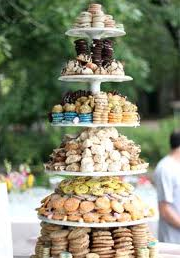 Allow guest to sample different treats by ordering a variety of cookies and encouraging them to taste away. 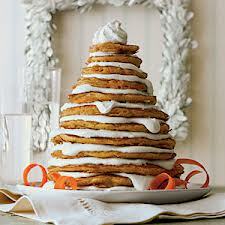 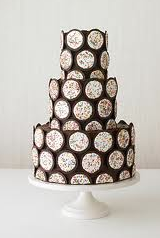 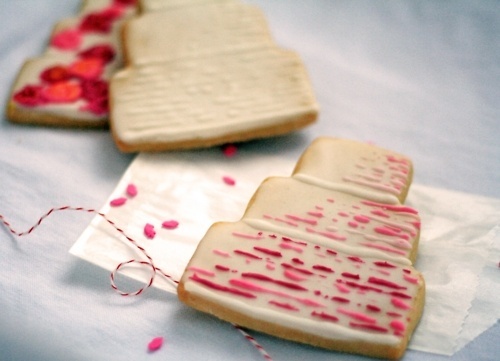 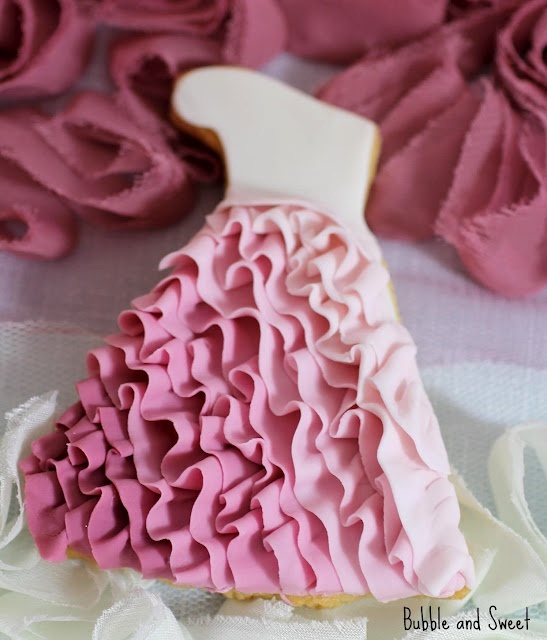 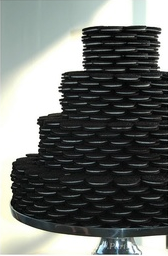 Cookie cakes can be composed entirely of the bride or groom’s other true love or a fun mix of delicate treats.